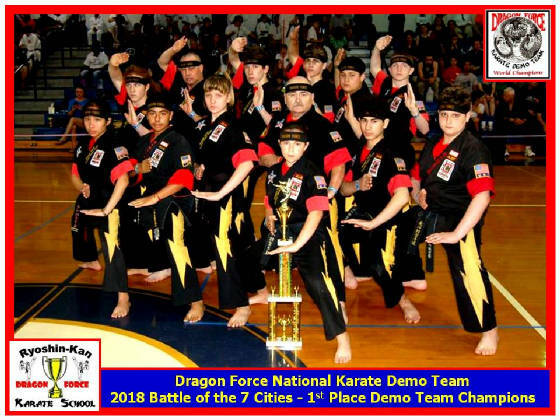 SUBMIT Your Best Karate Photos: Send us your Team or individual photos in the.jpeg format with names and caption for review and possible posting on this site. 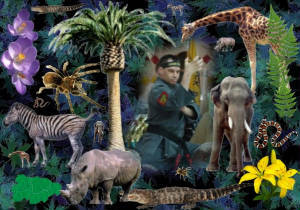 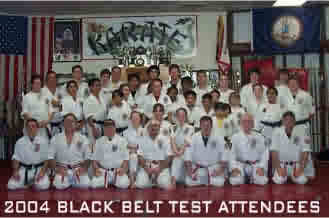 See contact page for e-mail address. "THANK YOU"
Congrats: Great Winter Shugyo 2019! 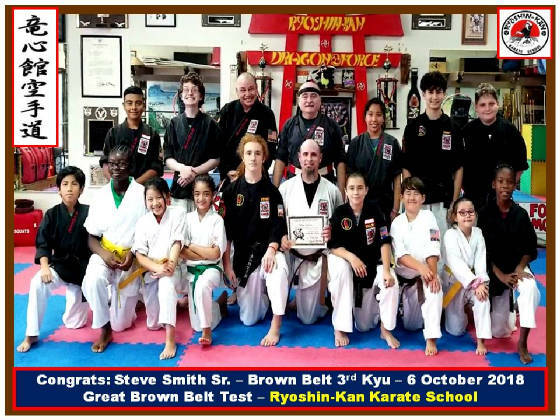 Congrats: Great Brown Belt Test! 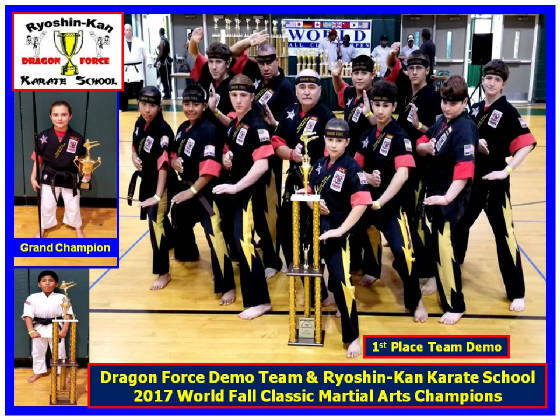 2018 World Heroes Classic Karate Demo Team Champions! 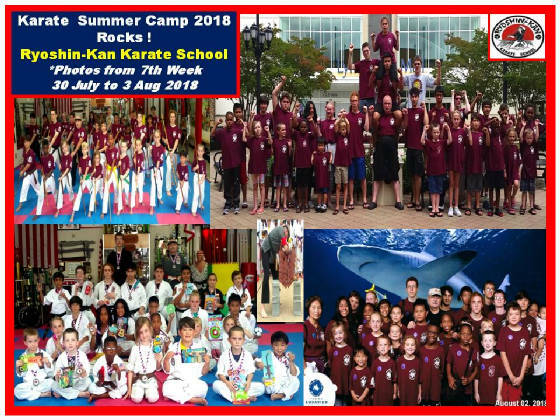 Congrats on a Great Karate Summer Camp 2018. 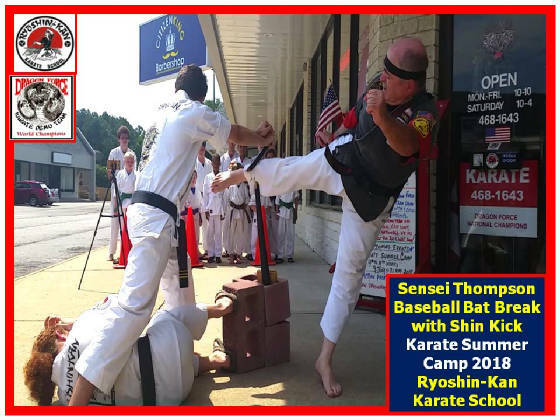 Sensei Thompson performed an amazing Baseball Bat Break at Karate Camp 2018! 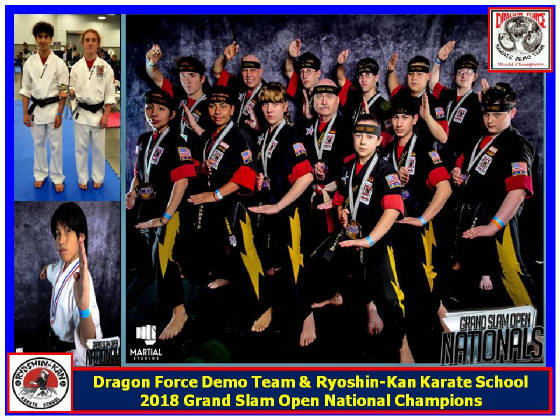 GSO Nationals 2018 - Team Demo Champs! 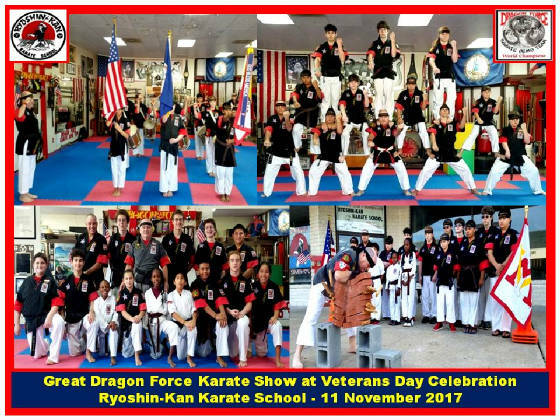 Liberty Tax Special Event 3 February 2018! 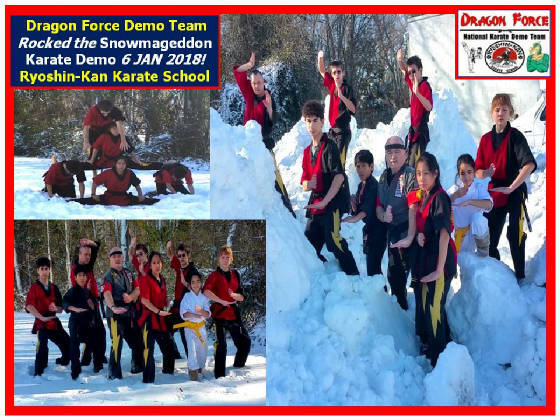 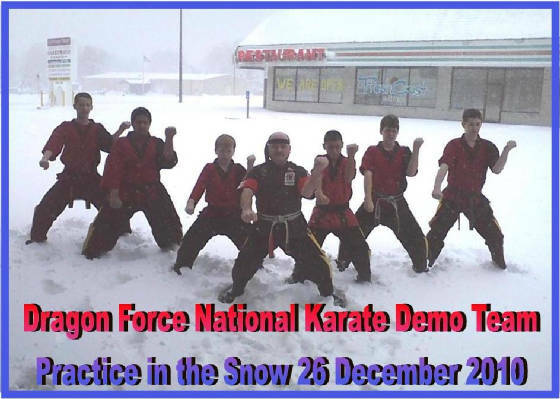 Dragon Force Demo Team Rocked Snowmageddon Karate Demo! 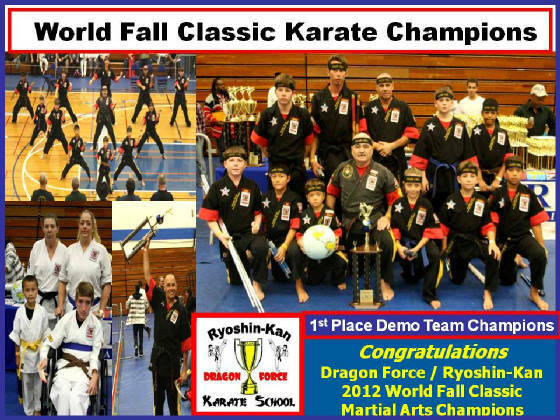 2017 World Fall Classic Champions! 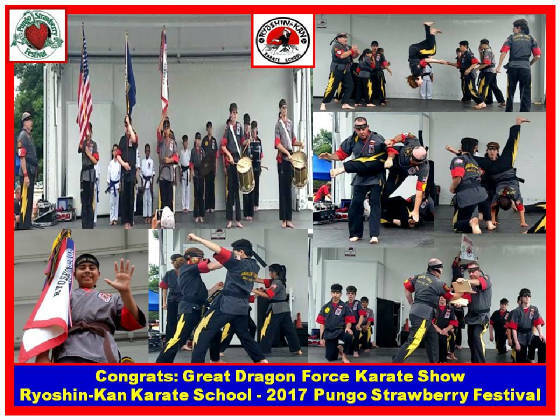 Congrats: Great Dragon Force Karate Show at Strawberry Festival 28 May 2017! 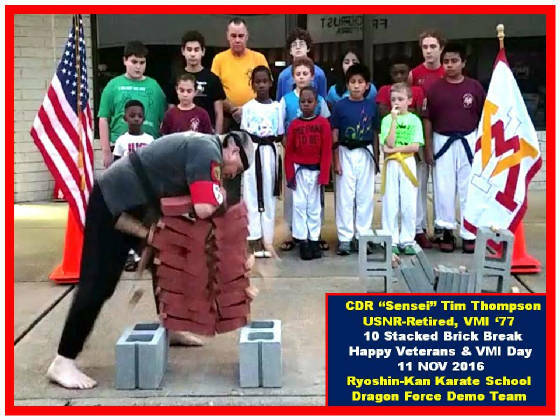 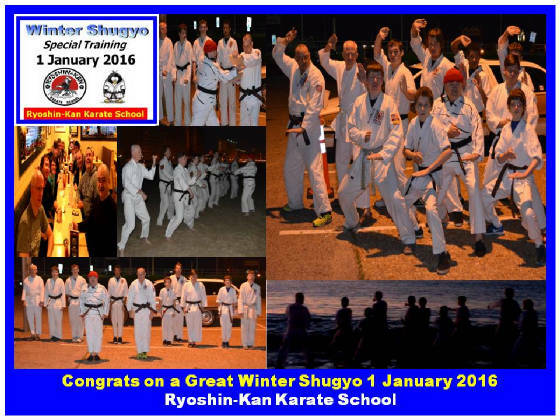 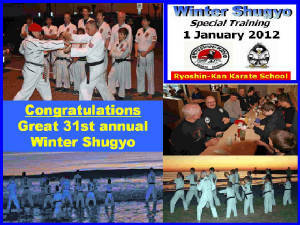 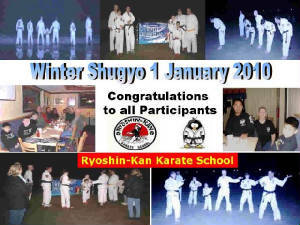 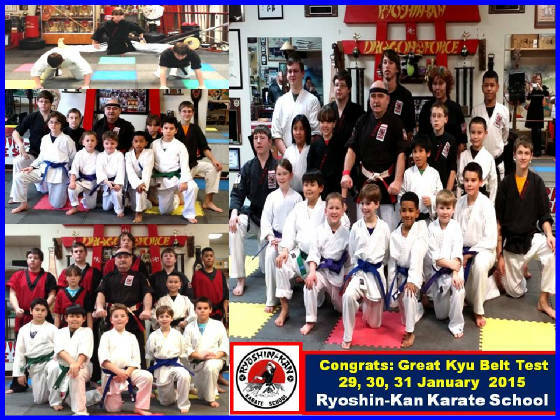 Congrats: Great Belt Testing, Demo Team Tryouts, Karate Classes & Breaking Demos! 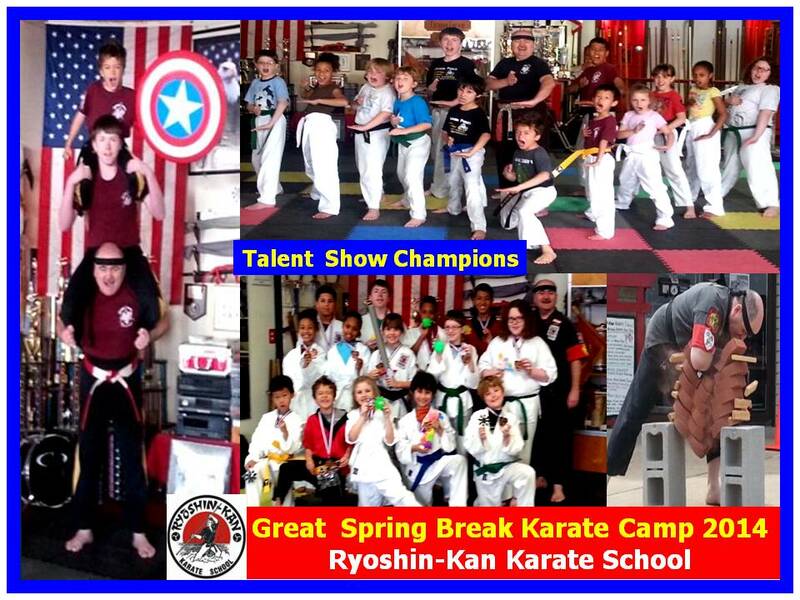 Congrats to all participants on a Great 2017 Spring Break Karate Camp! 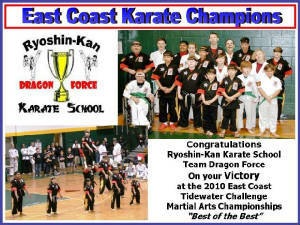 1st Place East Coast Champions! 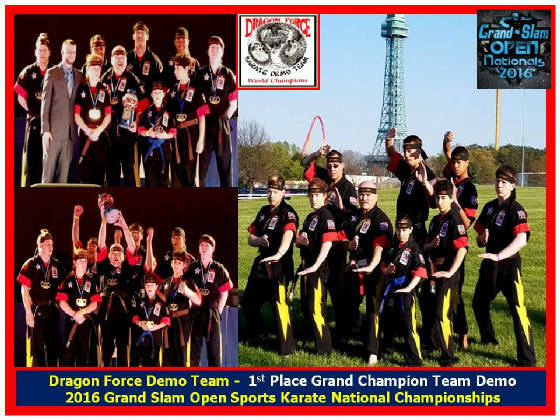 Dragon Force Demo Team Rocked the Team Tryouts on 11 March 2017! 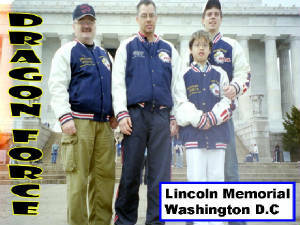 God Bless all Veterans & their Families. 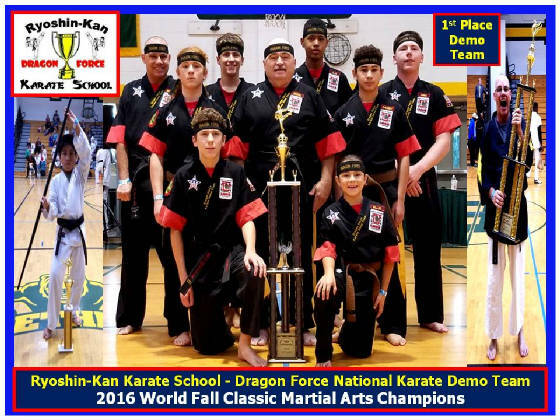 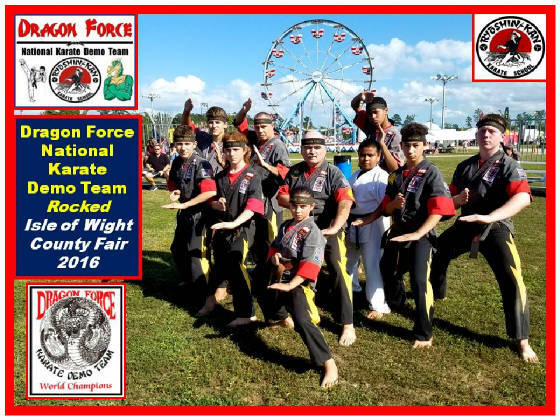 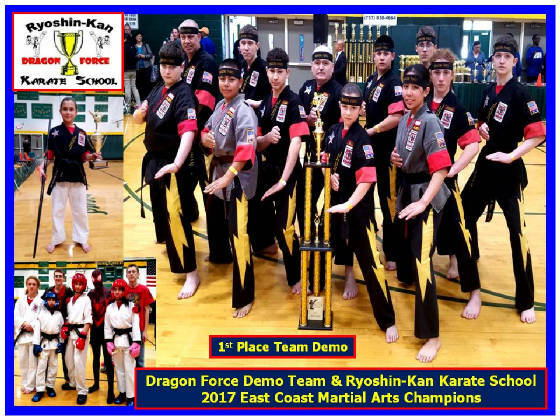 Congrats: Dragon Force Karate Demo Team Rocked Isle of Wight County Fair 2016! 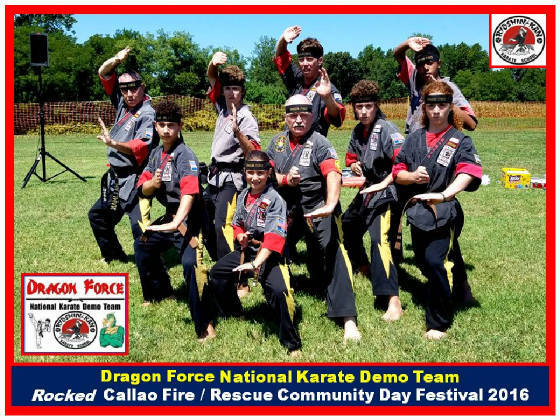 Dragon Force Demo Team Rocked the Callao Community Festival 2016! 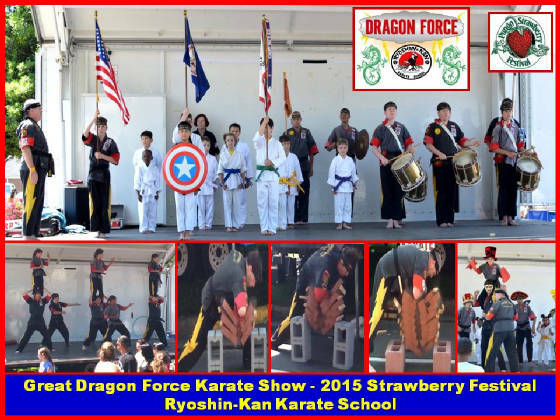 Great Dragon Force Karate Show at 2016 Strawberry Festival! 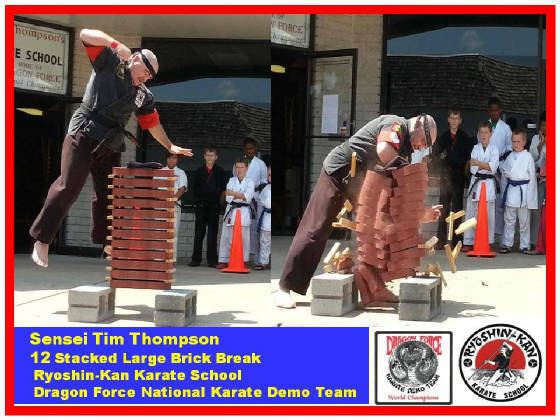 Awesome Karate Brick Breaking Demos! 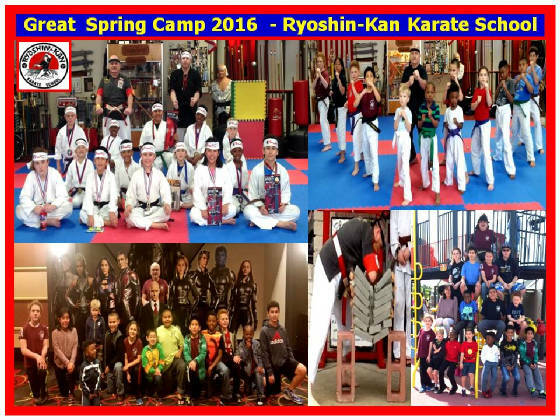 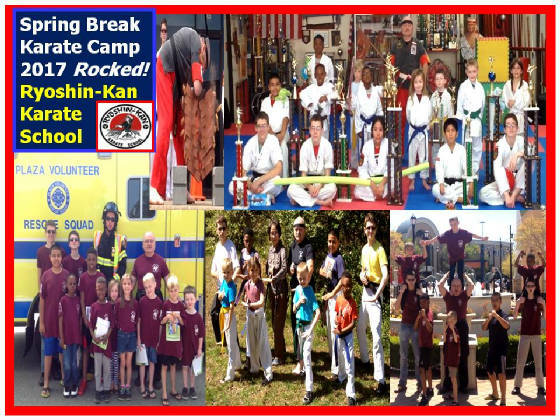 Congrats: Great Spring Break Karate Camp 2016! 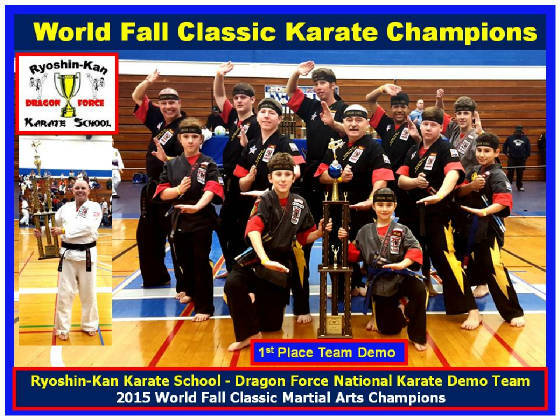 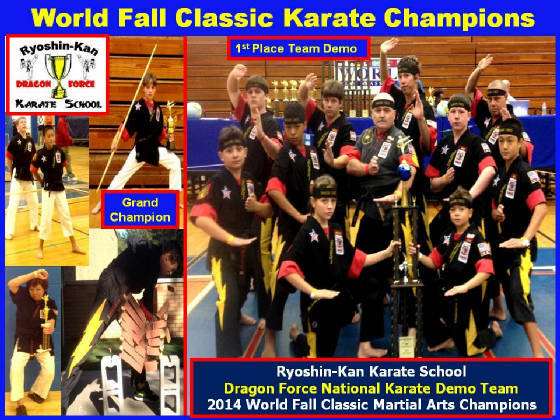 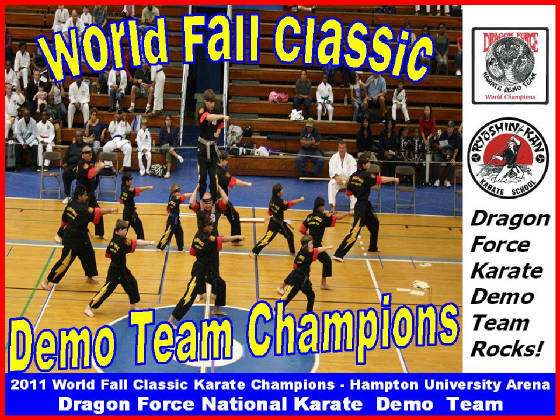 Congrats: Team Dragon Force - 2015 World Fall Classic Demo Team Champions! 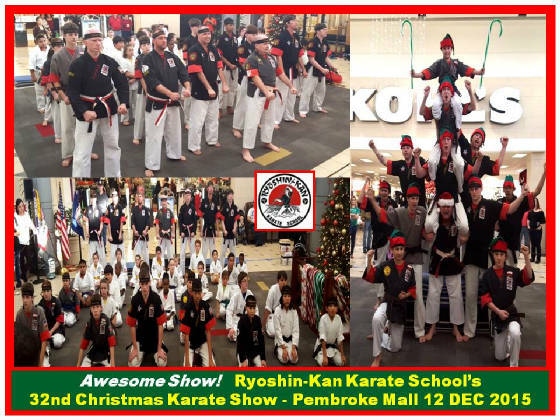 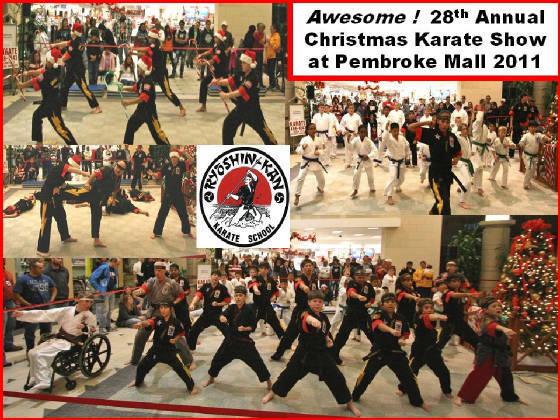 Congrats: Awesome Christmas Karate Show 2015! 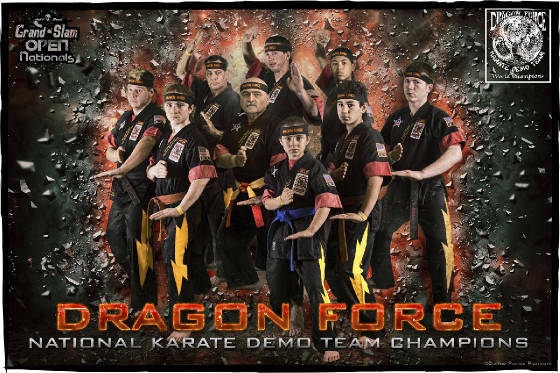 Dragon Force Demo Team Rocks! 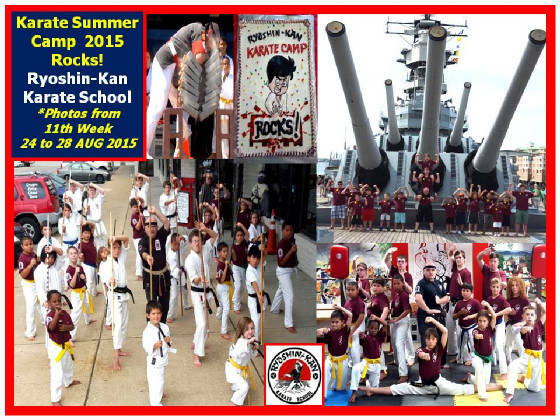 Karate Camp 2015 was Awesome! 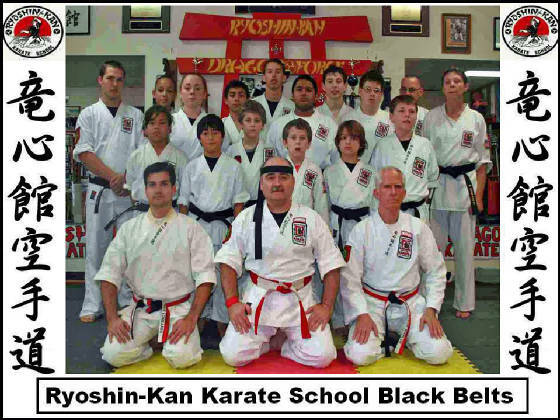 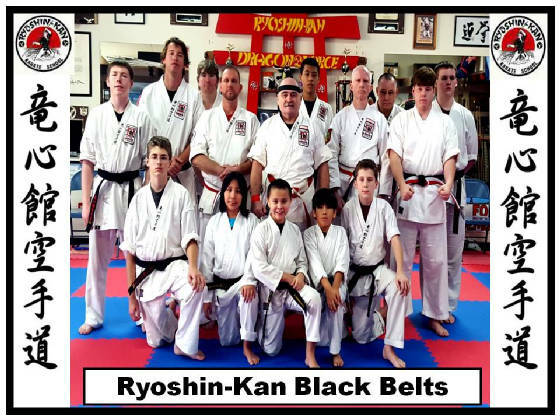 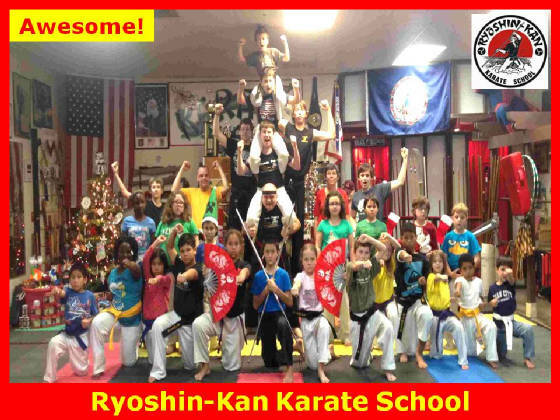 Ryoshin-Kan Karate School is Action Packed and Fun Filled! 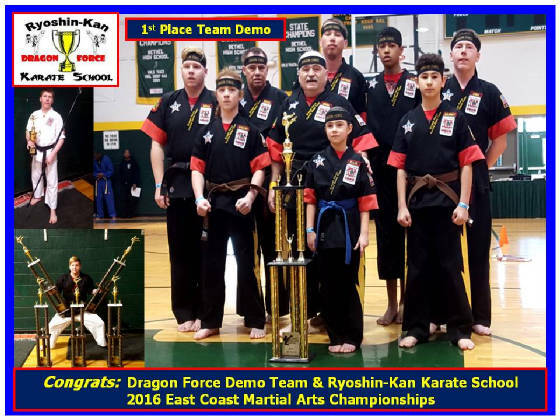 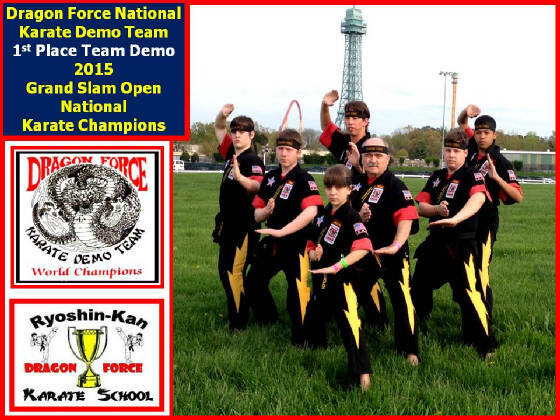 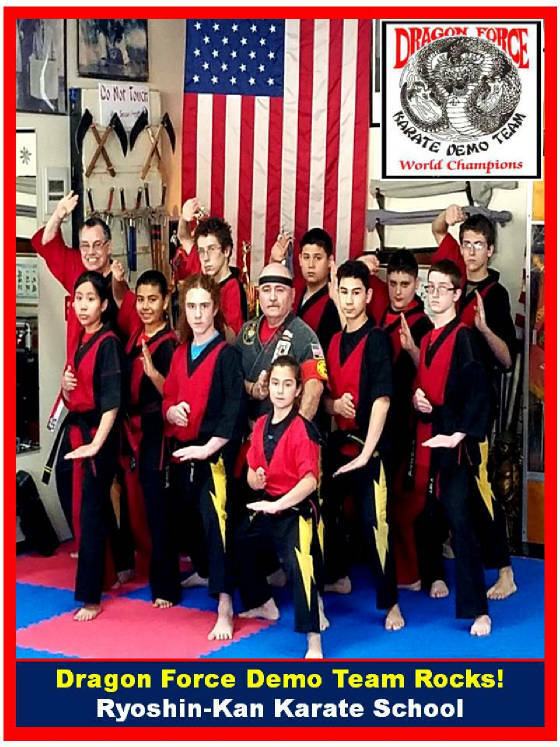 Dragon Force Demo Team Rocked 2015 King George Karate Championships! 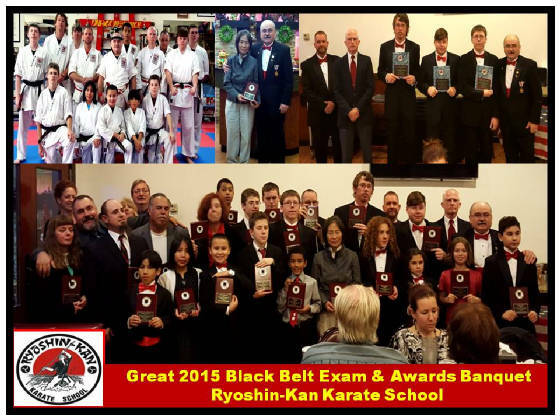 Congrats on Great Belt Testing in 2015! 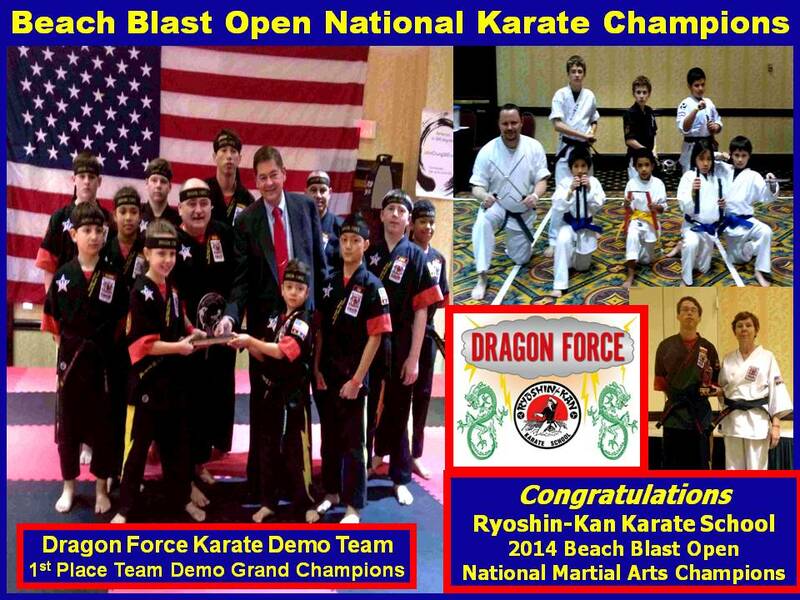 2014 Beach Blast Open National Karate Champions. 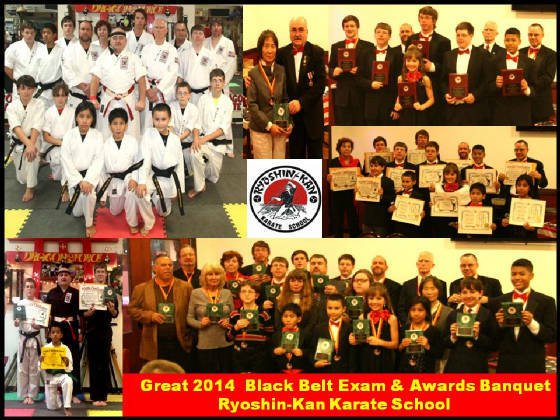 Congratulations on a Great Black Belt Exam & Awards Banquet on 7 & 8 December 2013! 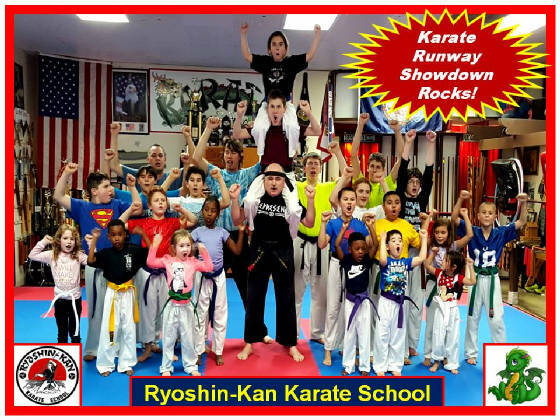 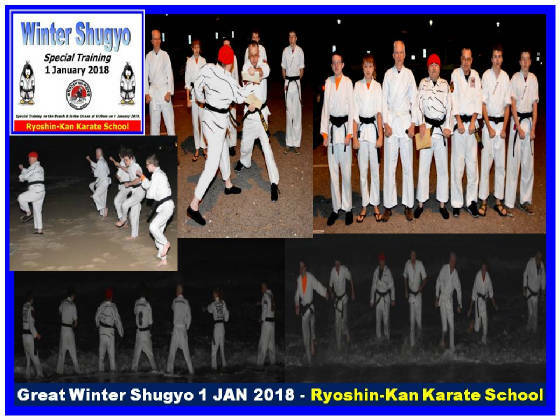 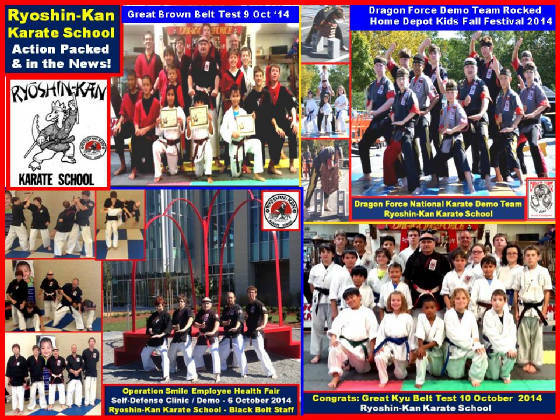 Ryoshin-Kan Karate School in the News! 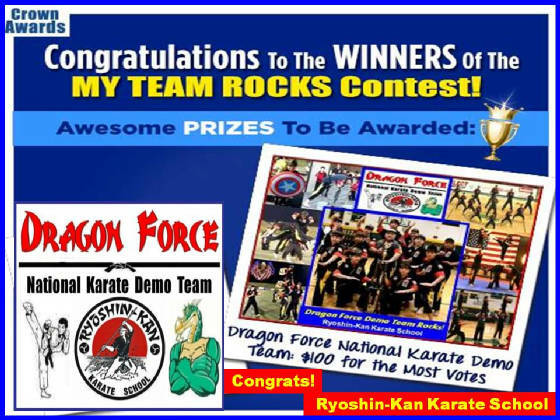 Dragon Force Demo Team Won "My Team Rocks" Contest! 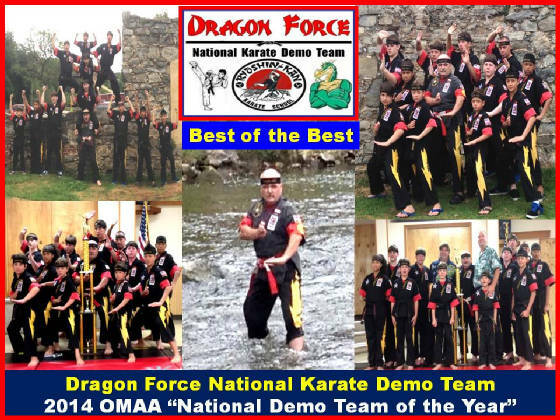 "OMAA National Demo Team of the Year!" 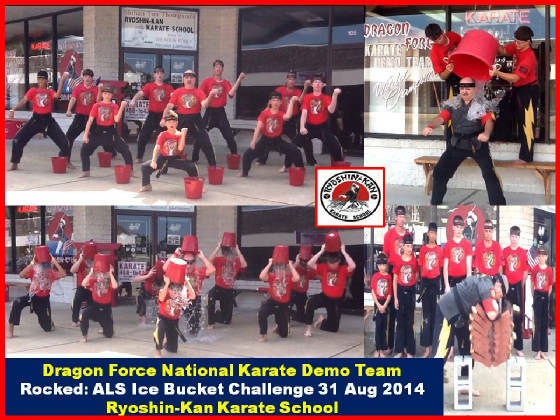 Dragon Force Rocked the ICE Bucket Challenge! 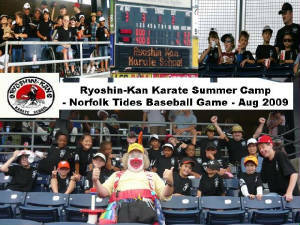 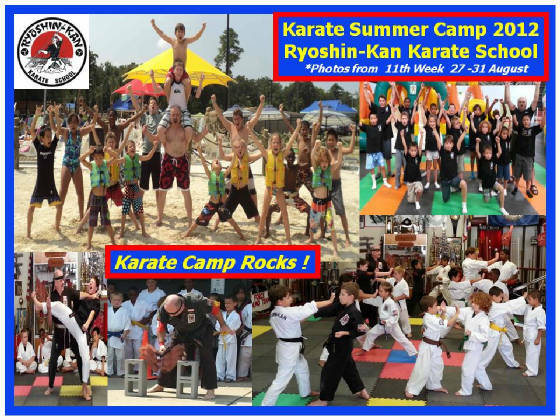 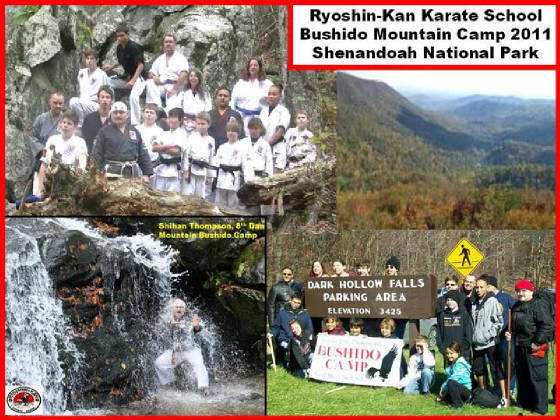 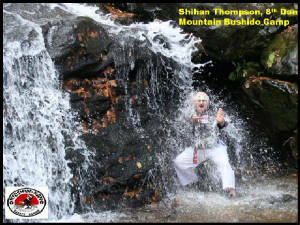 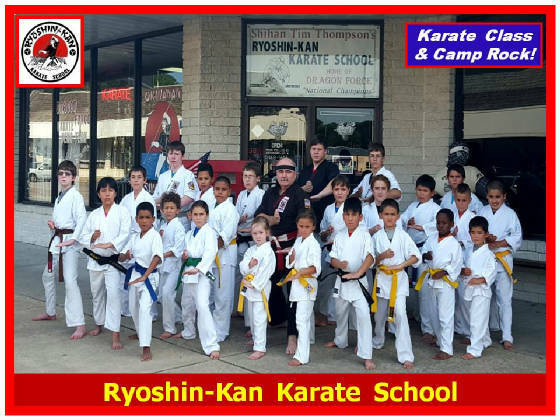 Ryoshin-Kan Karate Camps are Action Packed and Fun Filled! 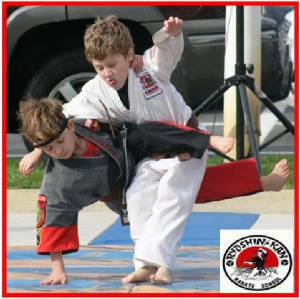 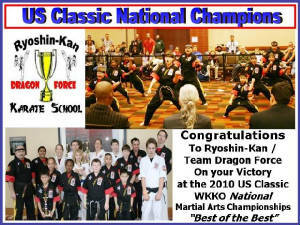 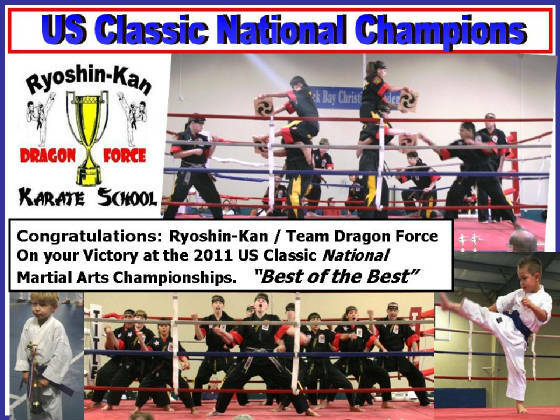 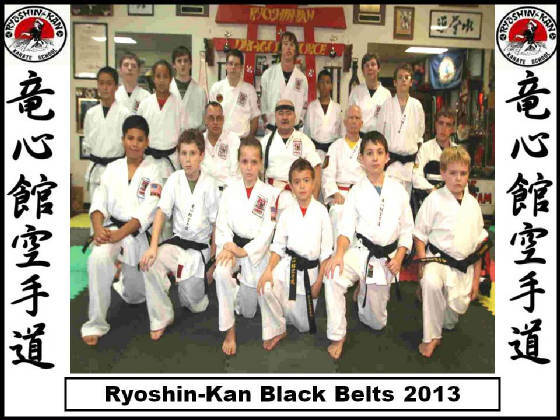 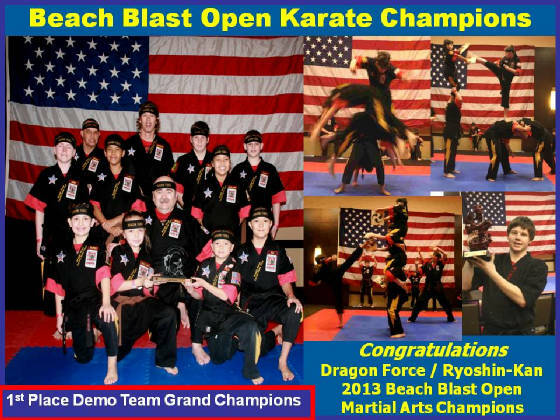 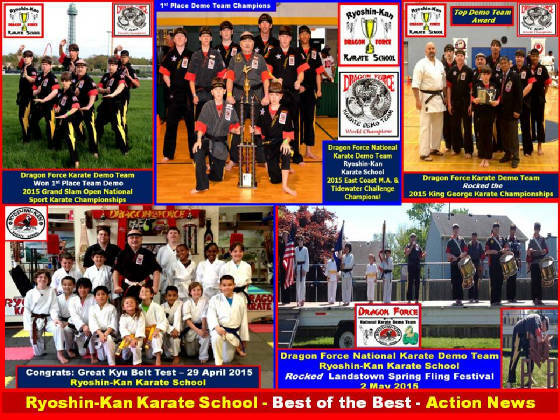 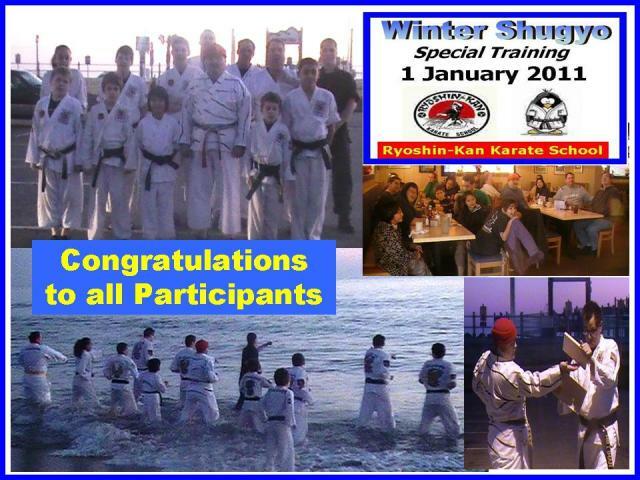 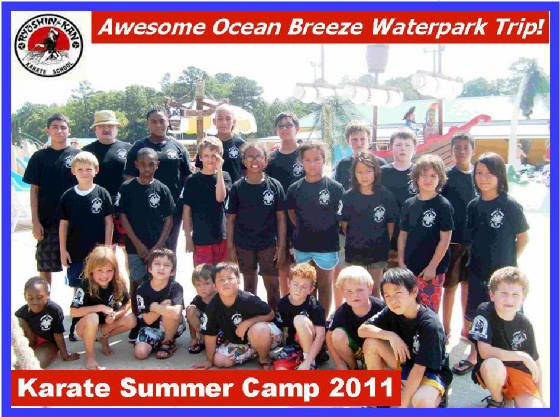 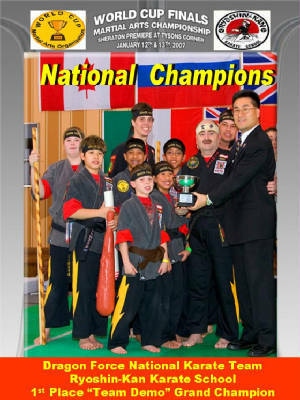 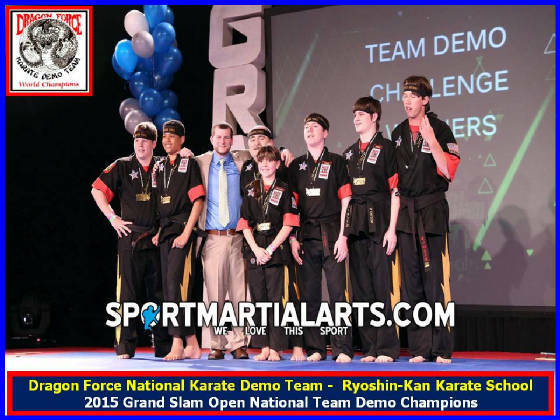 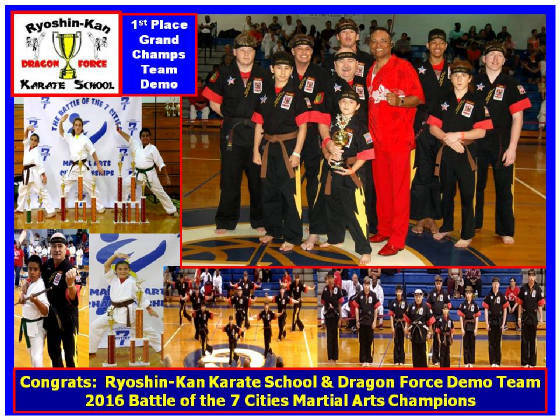 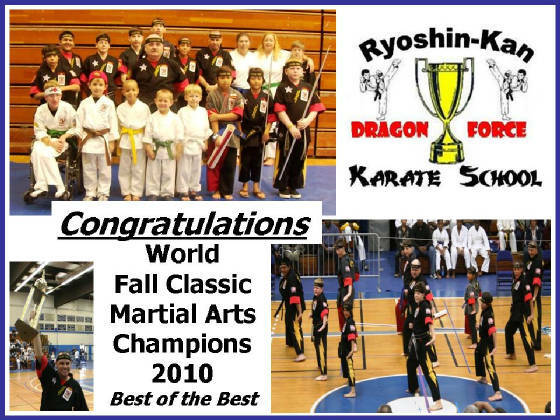 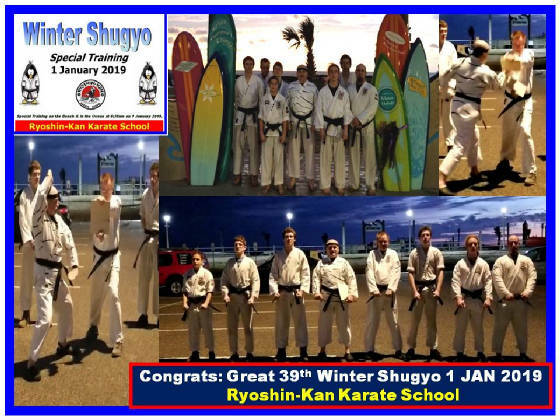 Ryoshin-Kan Karate School offers the Best Karate Classes in Virginia Beach, VA.
2014 Beach Blast Open National Martial Arts Champions! 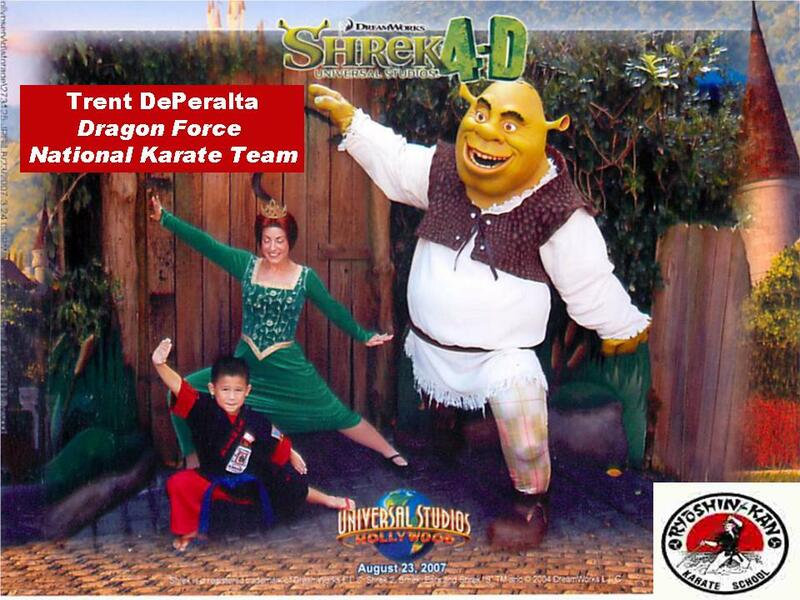 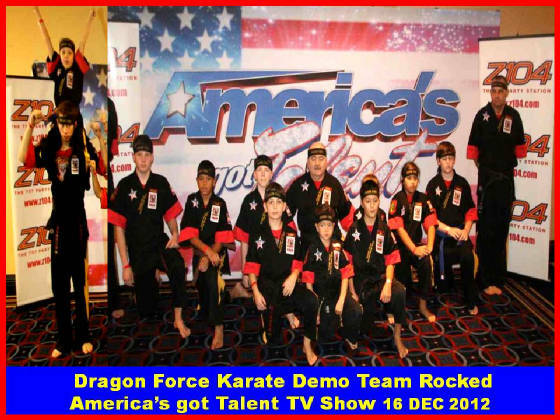 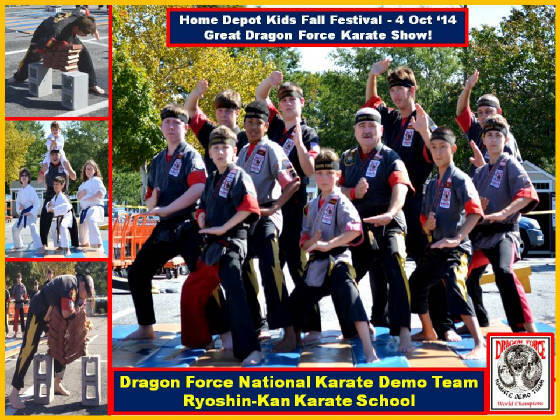 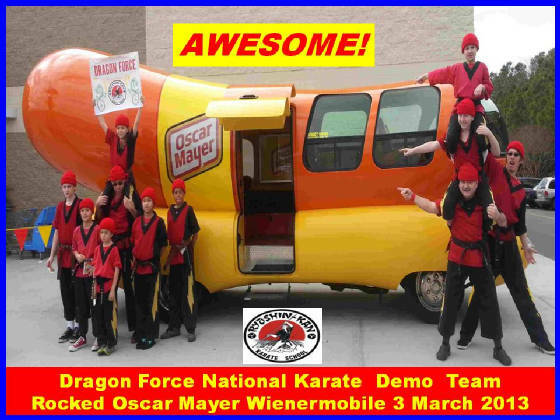 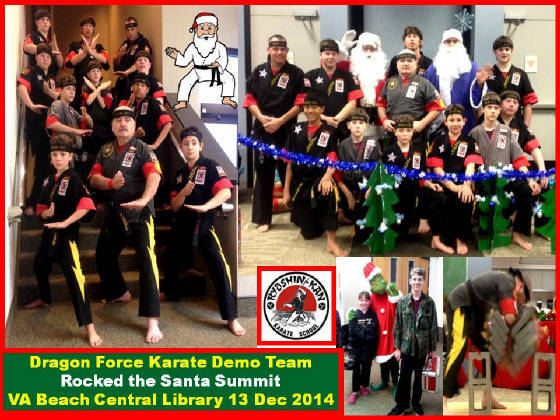 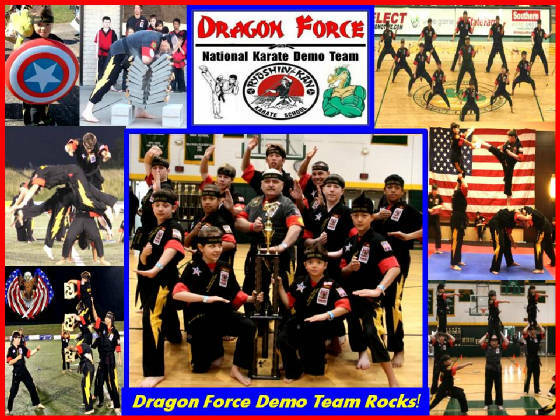 Dragon Force Karate Demo Team Rocks! 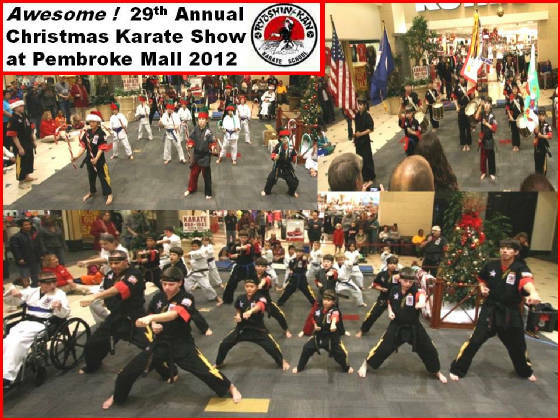 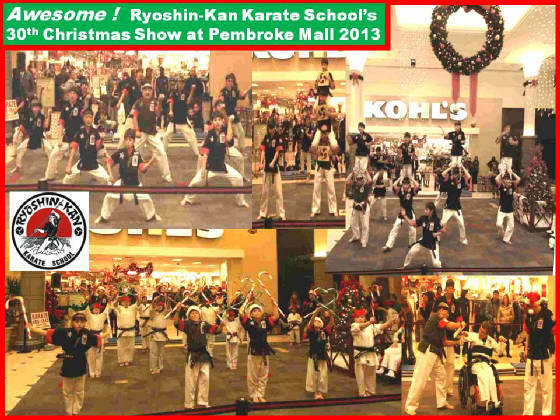 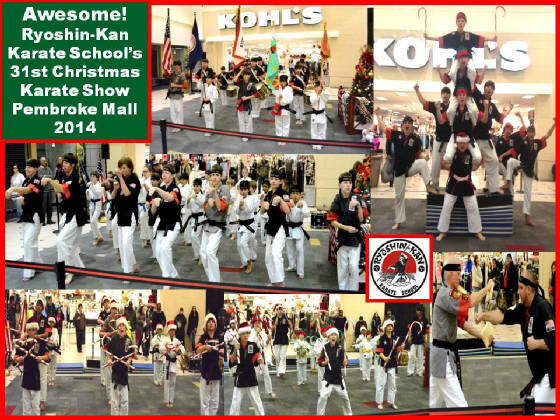 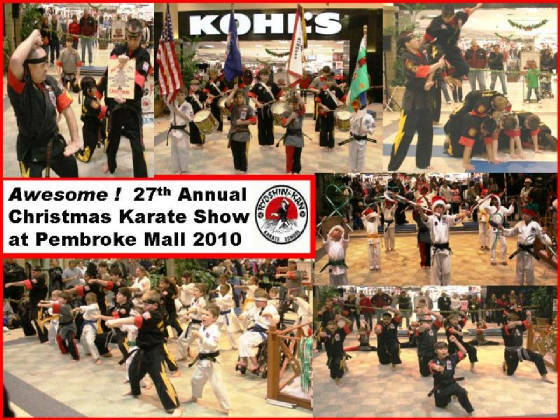 Congrats on a Great 30th annual Christmas Karate Show 2013! 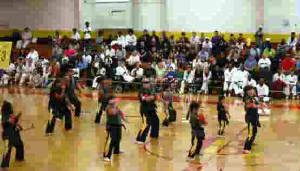 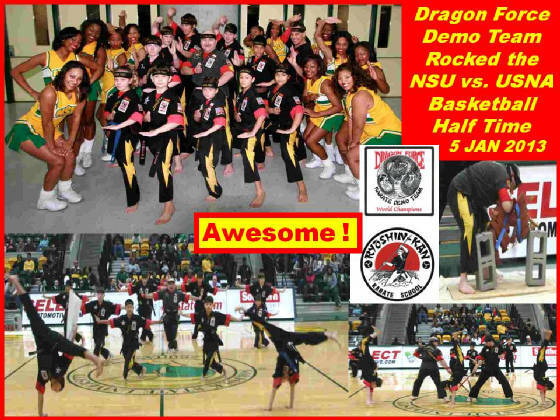 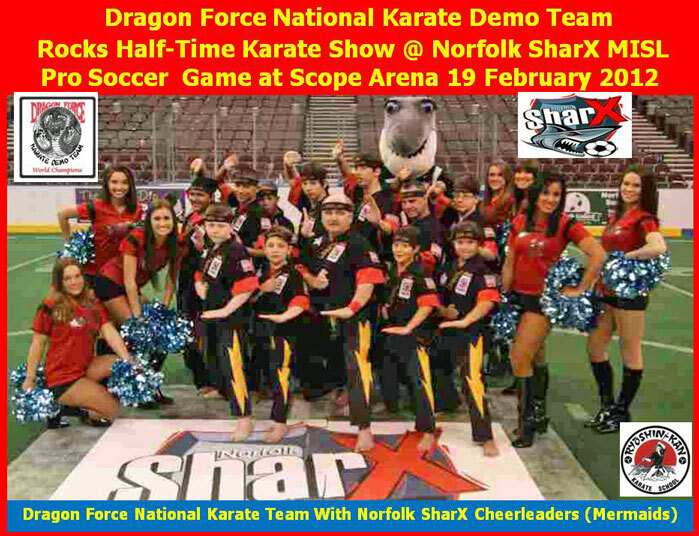 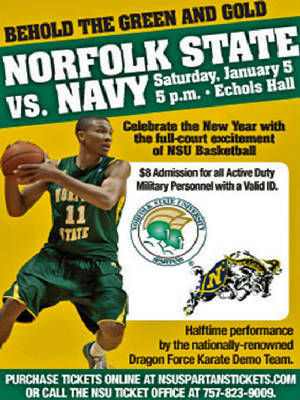 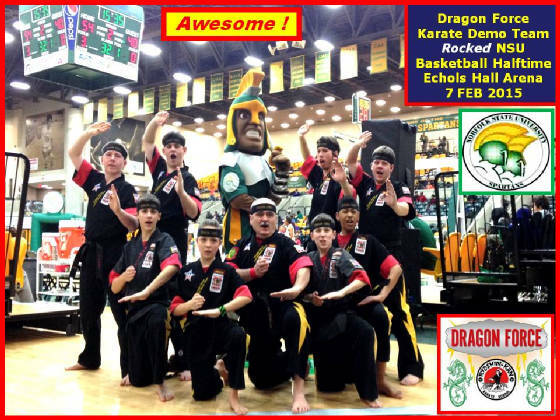 Dragon Force Karate Demo Team Rocked NSU Halftime Show 5 JAN 2013. 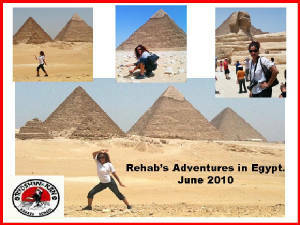 OohYa! 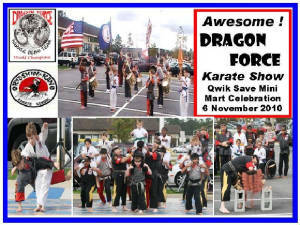 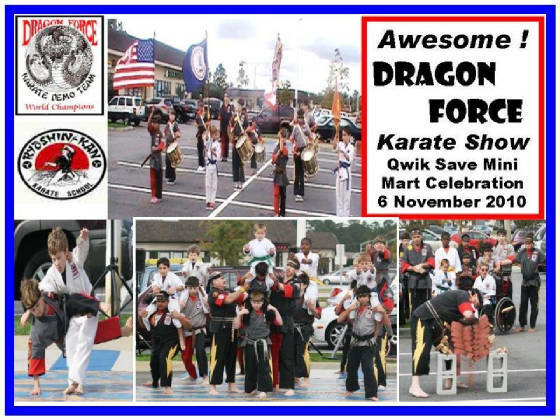 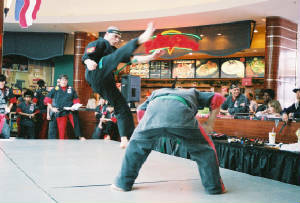 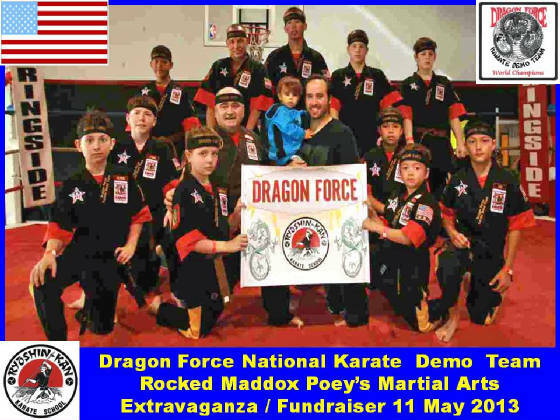 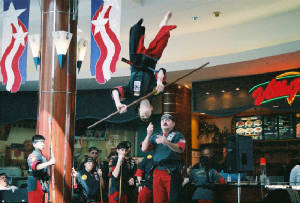 Dragon Force Karate Demo Team Rocked Maddox Poey's Cancer Treatment Fundraiser. 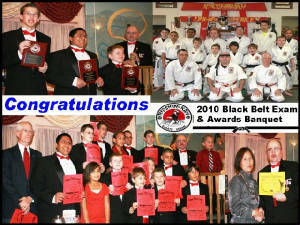 Great Black Belt Exam & Awards Banquet 2012! 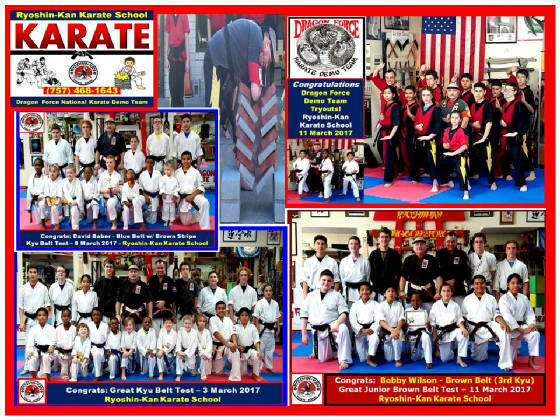 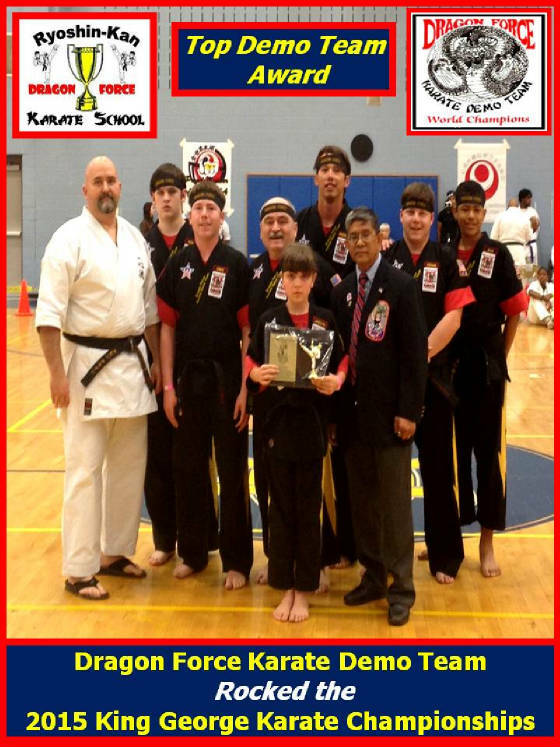 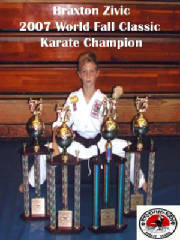 Click on photo to go to the Karate Tournament page to see the Results. 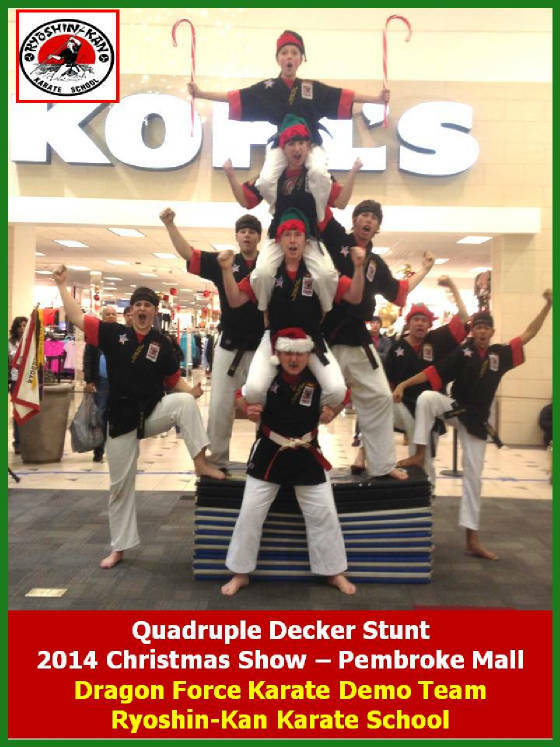 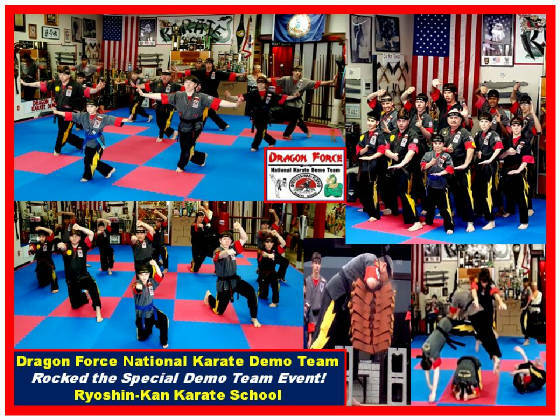 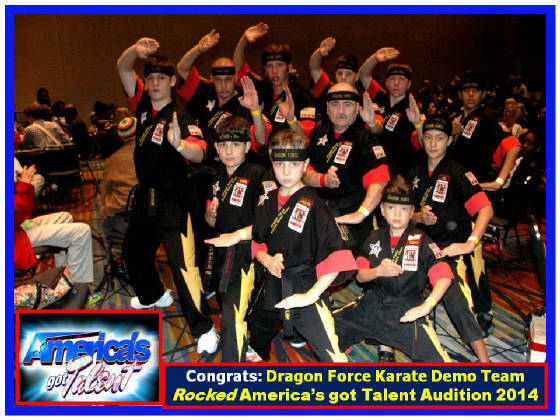 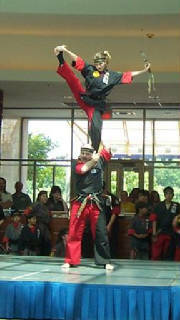 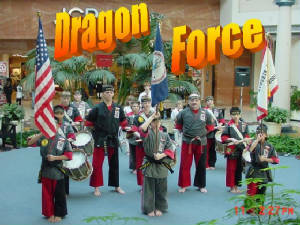 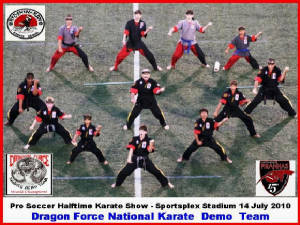 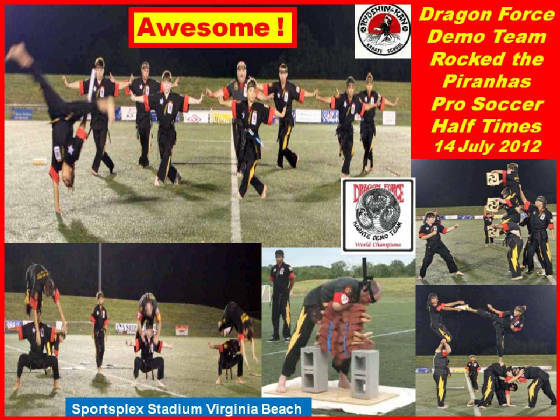 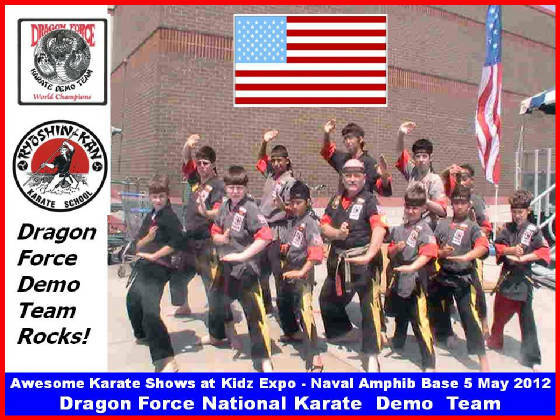 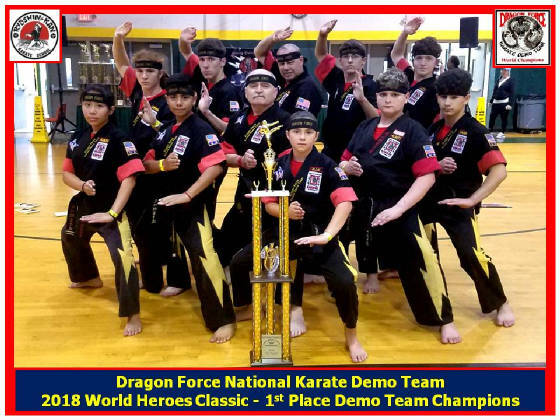 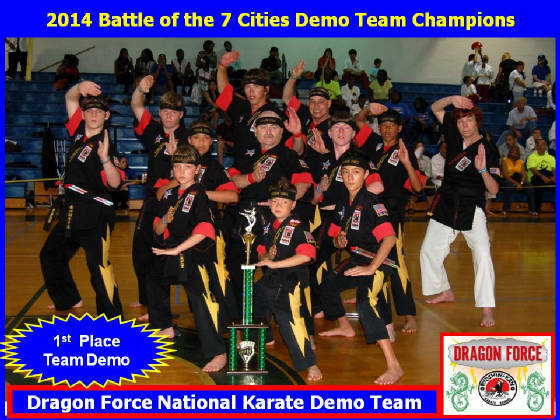 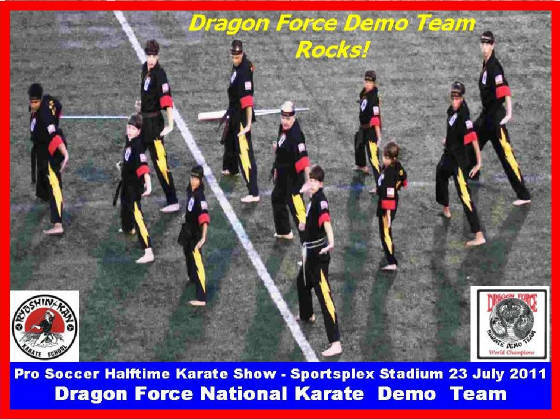 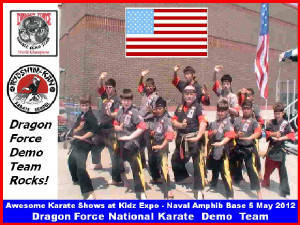 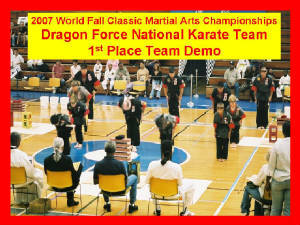 Dragon Force Karate Demo Team Rocked Sportsplex Stadium! 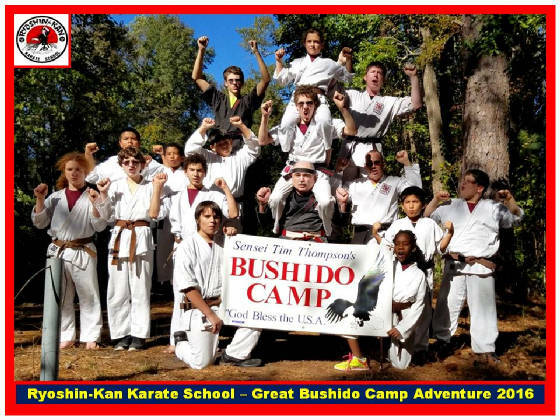 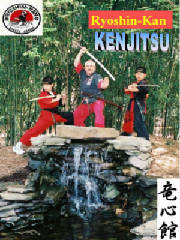 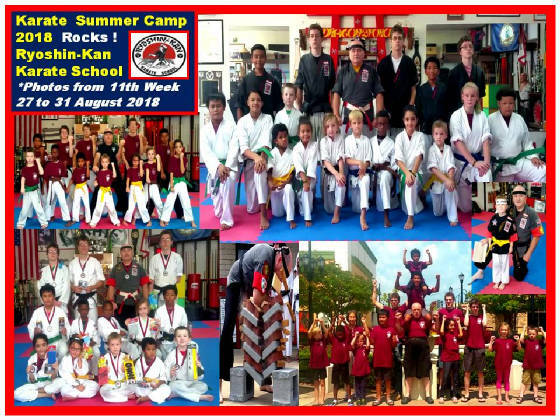 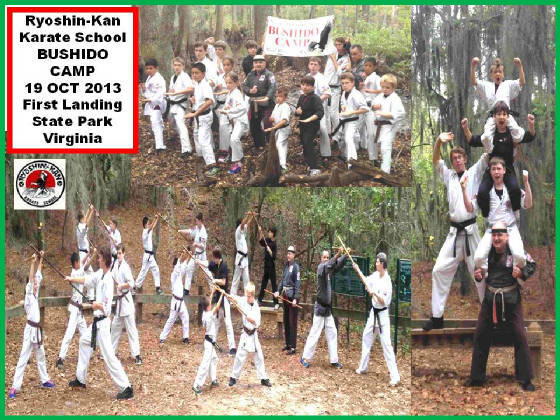 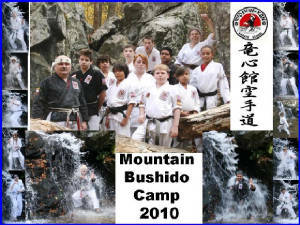 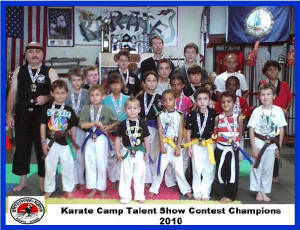 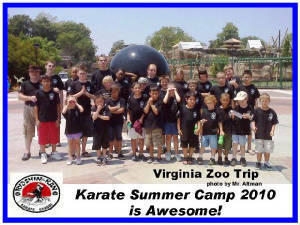 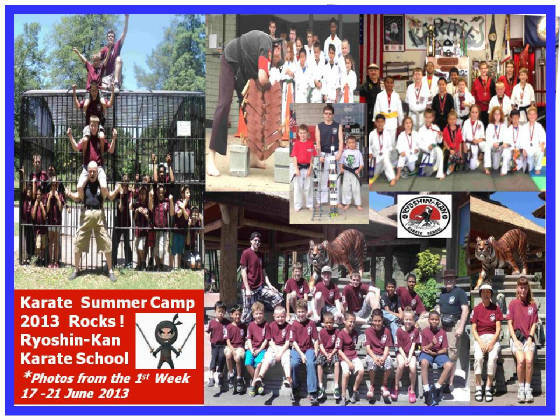 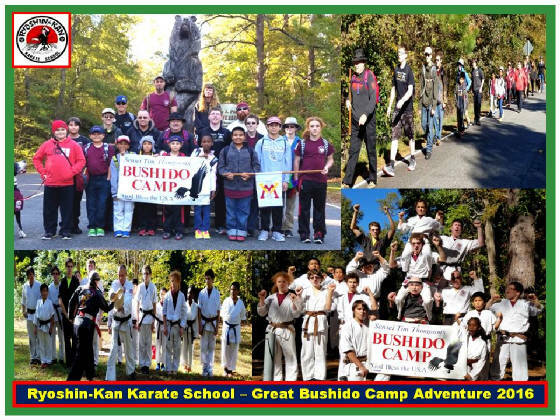 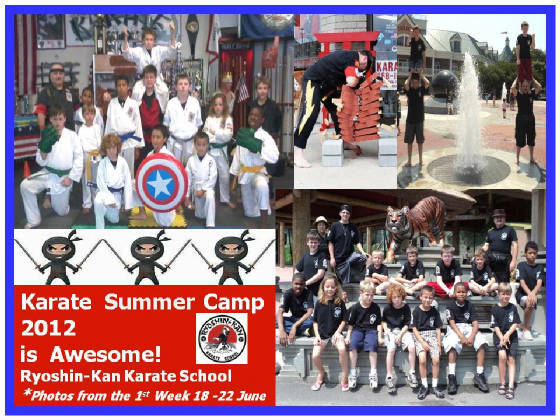 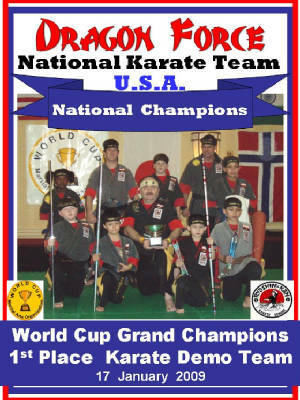 Click on photo to visit Karate Camp Page. 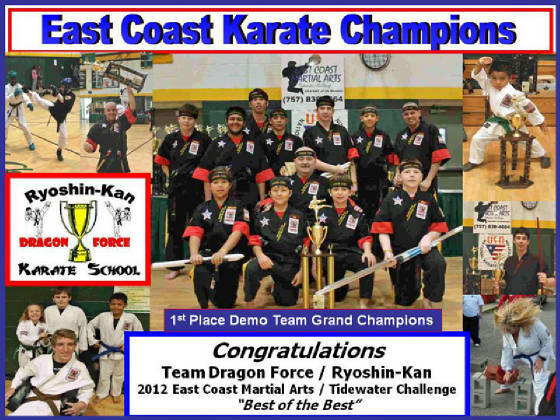 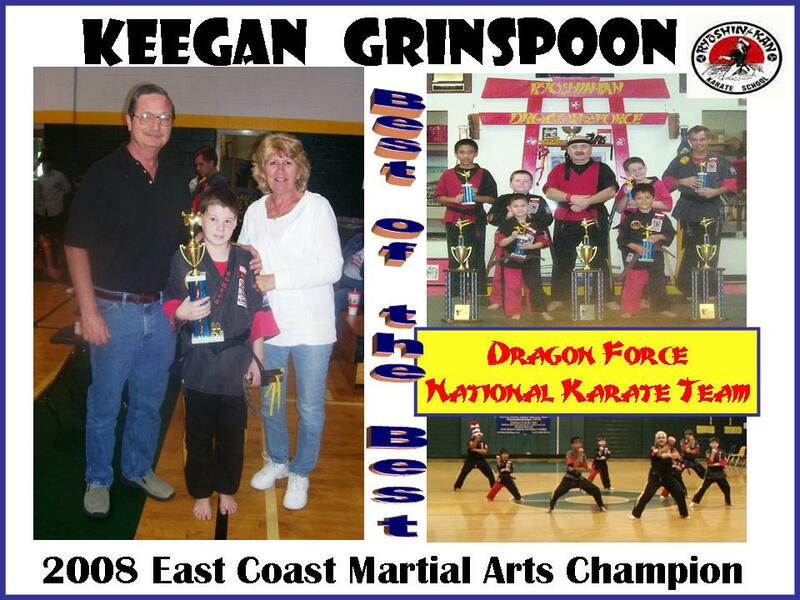 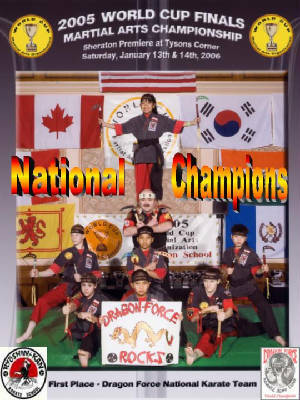 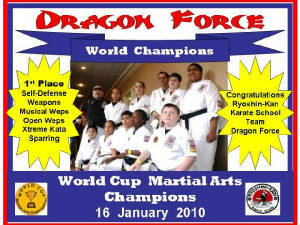 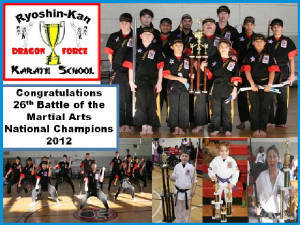 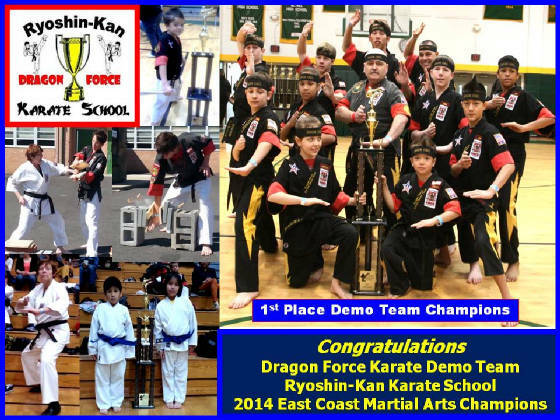 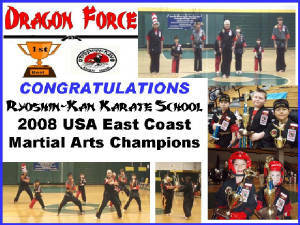 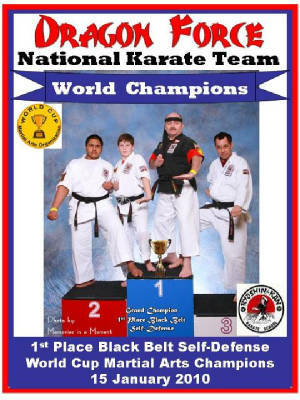 Dragon Force Karate Demo Team Rocked 2012 East Coast Martial Arts Championships! 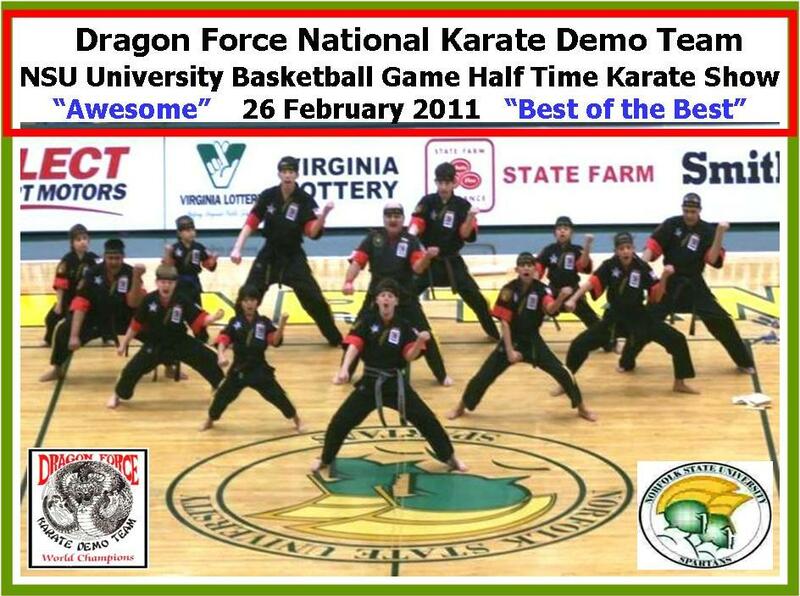 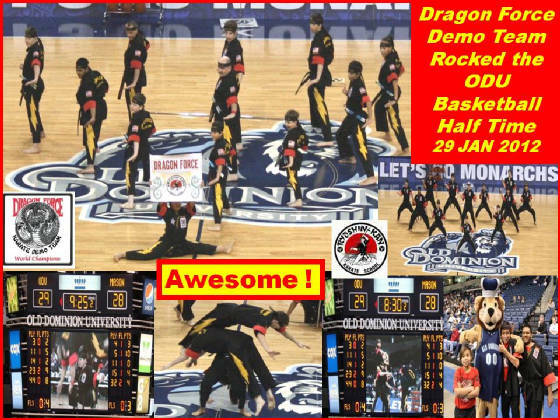 Dragon Force National Karate Demo Team Rocked the ODU Half Time! 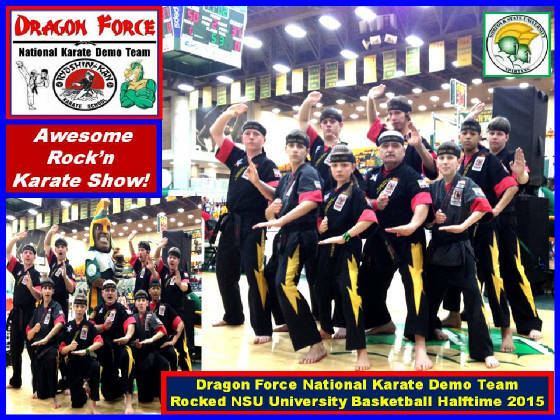 Dragon Force Rocked NSU Halftimes! 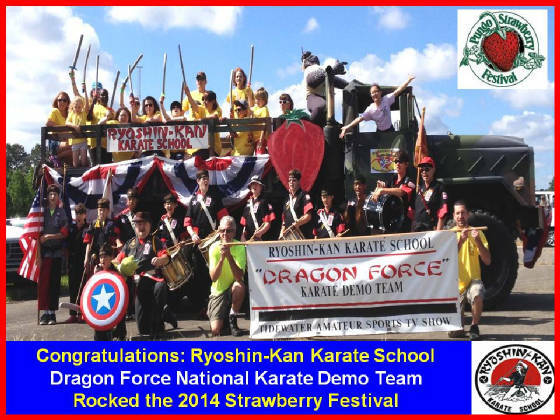 "Dragon Force Rocked the Strawberry Festival!" 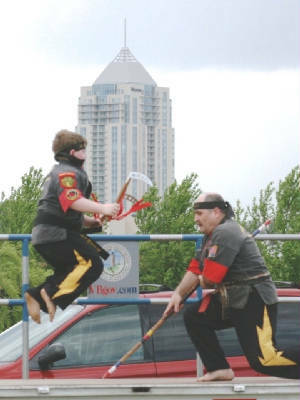 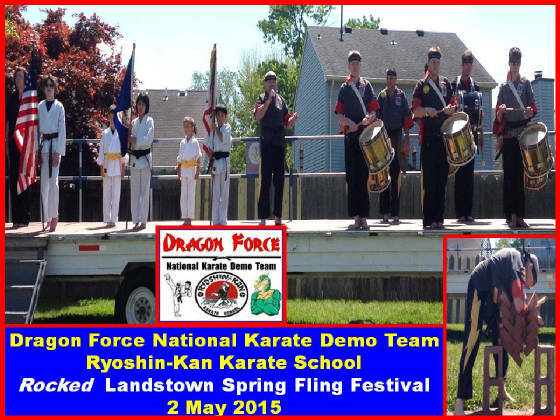 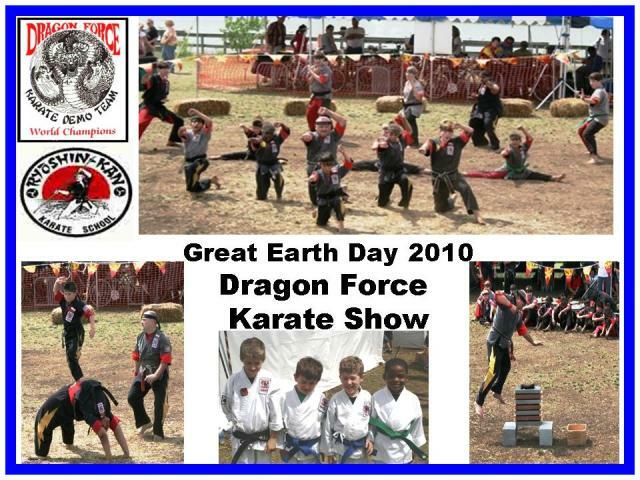 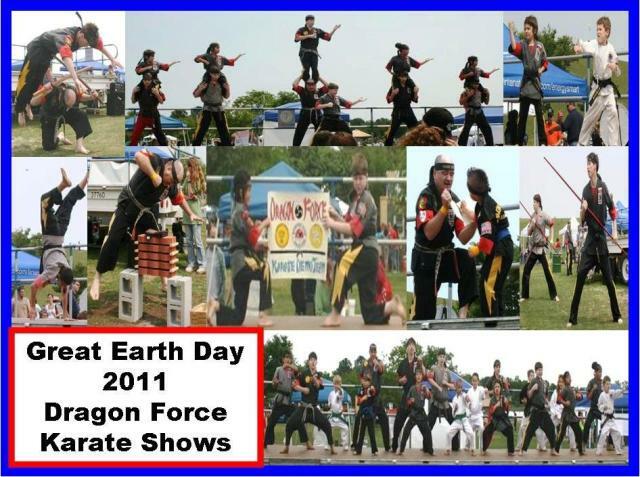 Dragon Force Karate Demo Team Rocked the Earth Day Festival. 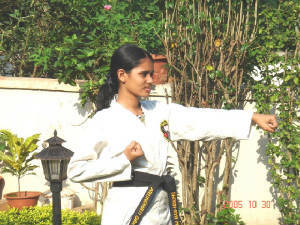 OohYa! 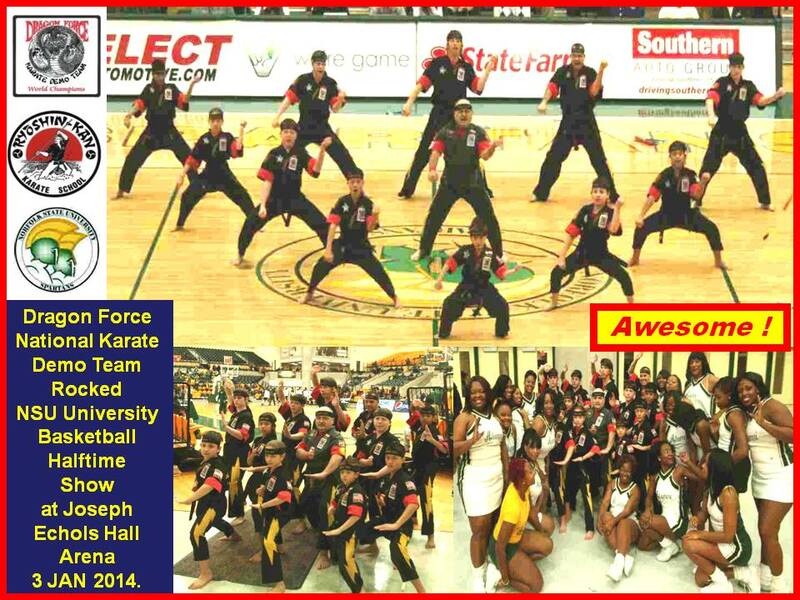 Dragon Force National Karate Demo Team ROCKED the NSU University Half Time Show! 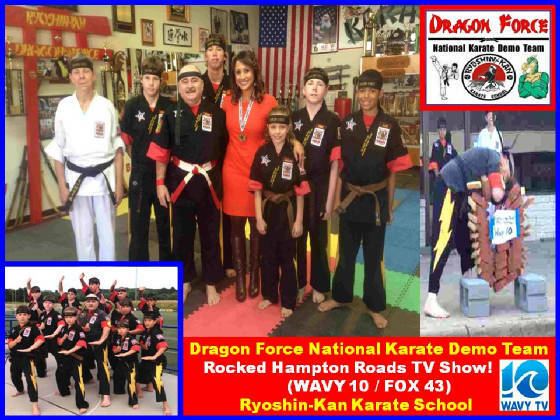 Dragon Force Karate Team on TV NEWS. 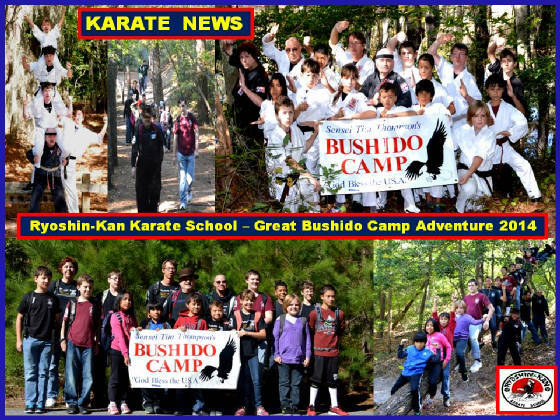 Click on above photo to visit TV News website. 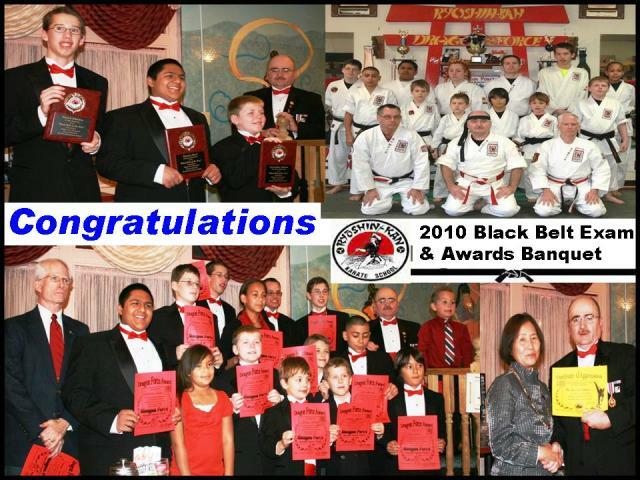 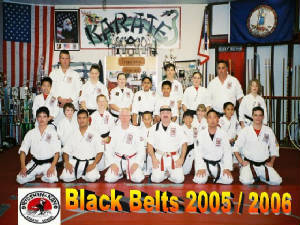 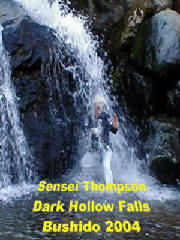 Click on Photo to Visit the Black Belt Page. 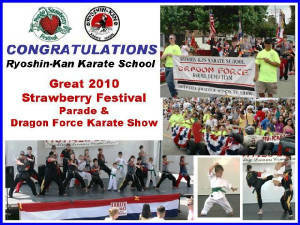 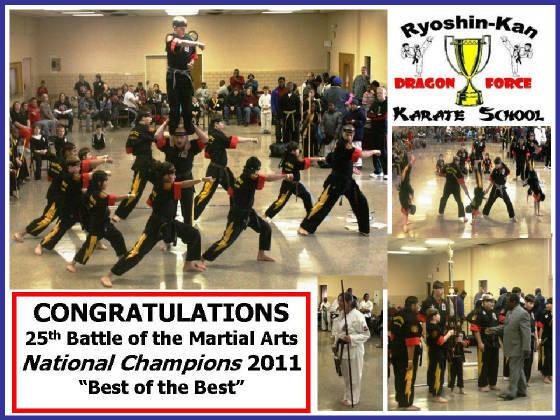 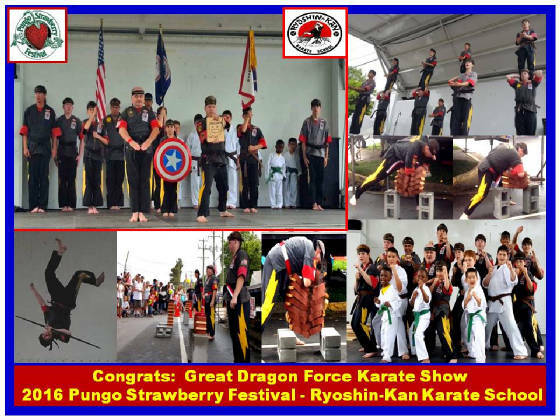 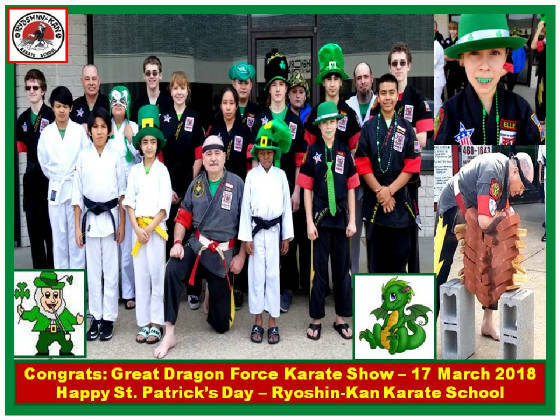 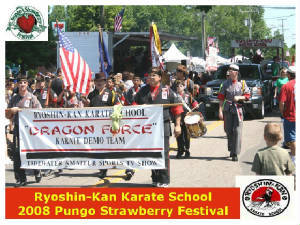 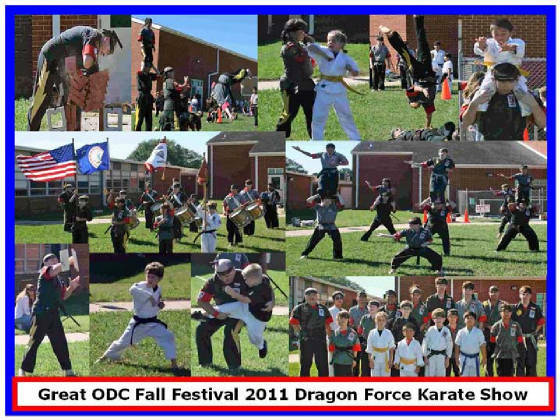 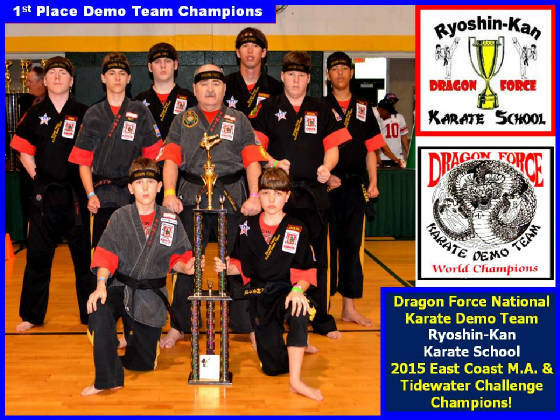 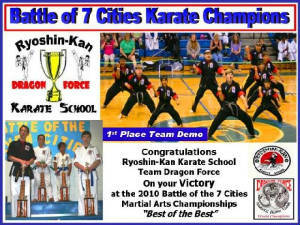 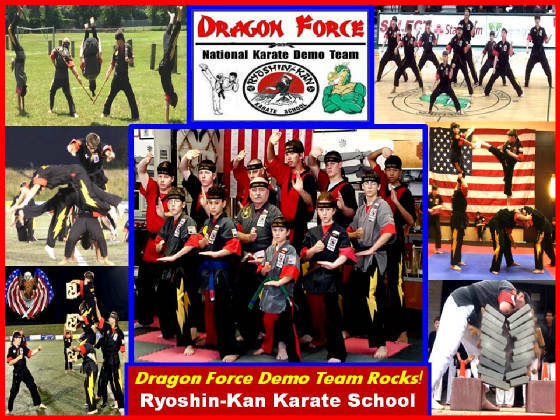 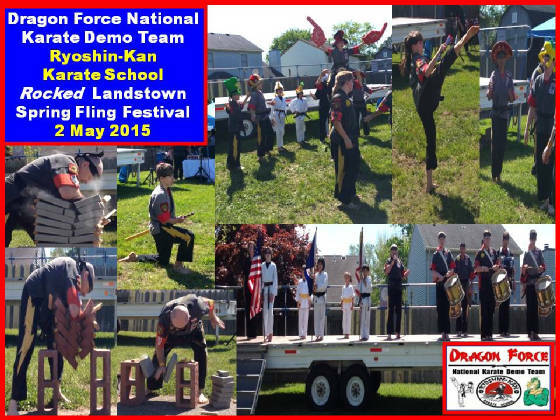 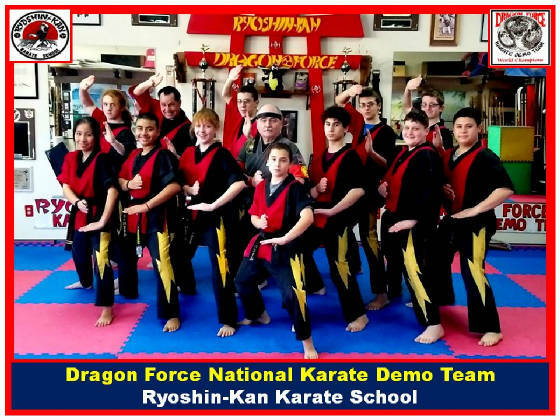 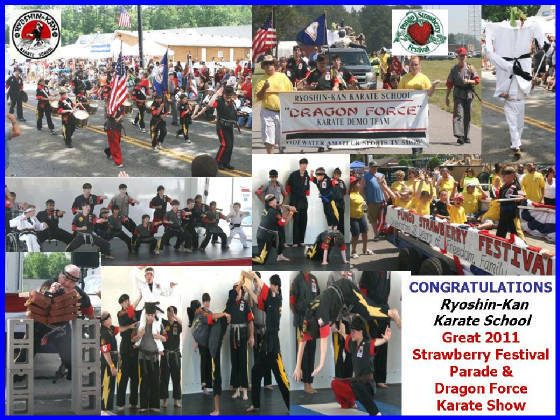 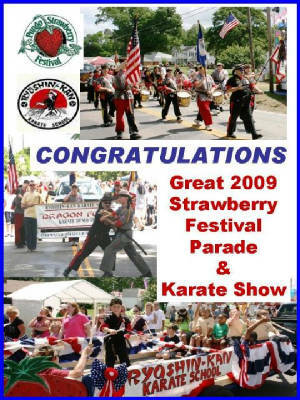 Dragon Force Karate Demo Team & Ryoshin-Kan Rocked the 2012 Strawberry Festival! 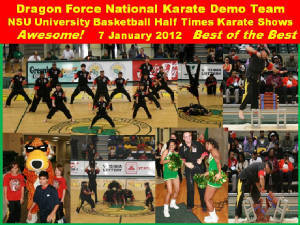 Dragon Force Rocked the NSU Half Time Shows...OohYa! 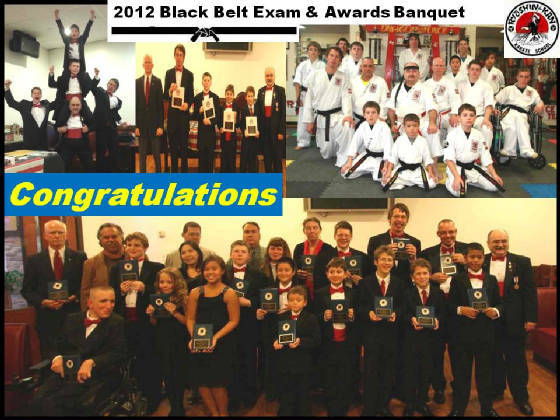 Click on photo to see 28th annual Black Belt Exam Results. 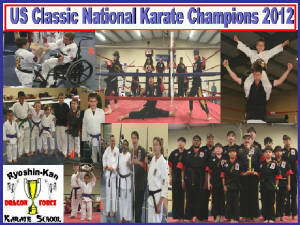 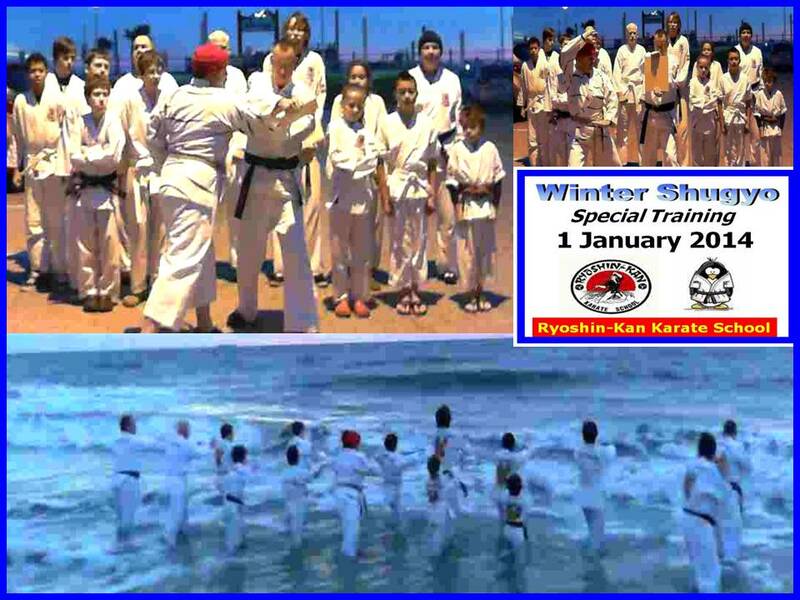 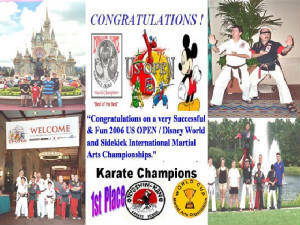 Click on Photo to visit our Karate News Page. 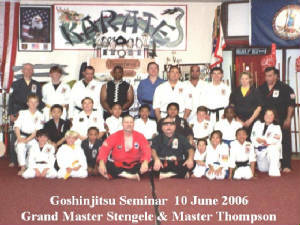 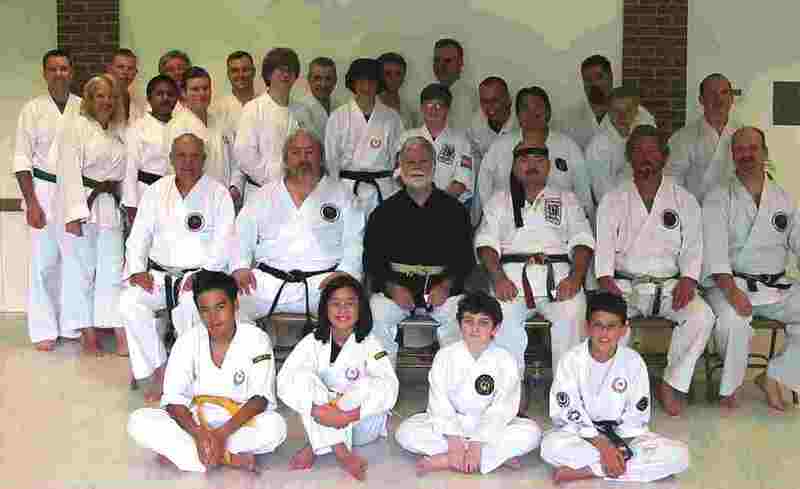 Congratulations to all Participants of the Hanshi Jim Herndon Karate-Do Seminar conducted in Virginia Beach, Virginia. 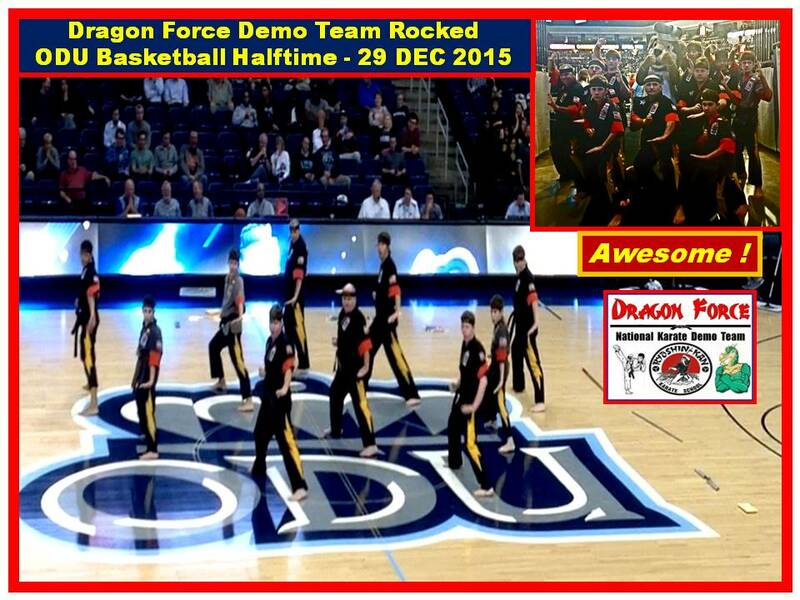 "Awesome Performance by Team Dragon Force!" 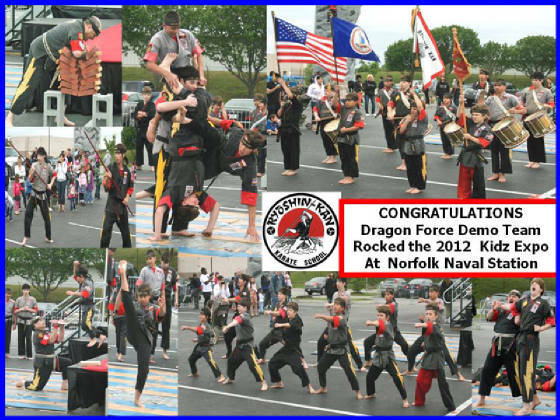 BEST DEMO TEAM AWARD: The Dragon Force National Karate Team was awarded a beautiful "Best Demo Team" Award Plaque and a Very Special Dragon Statue for their Outstanding Demo at this tournament in Virginia Beach, VA on 6 June 2009..
Congratulations and Well Done ! 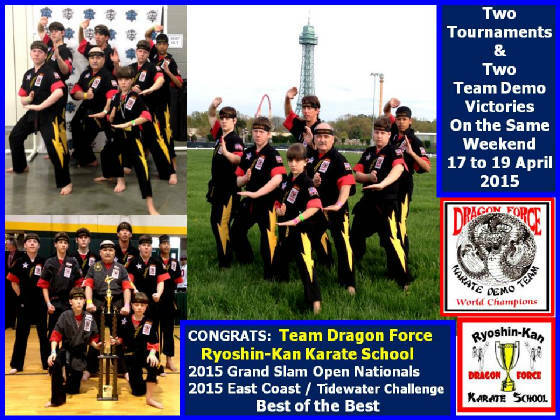 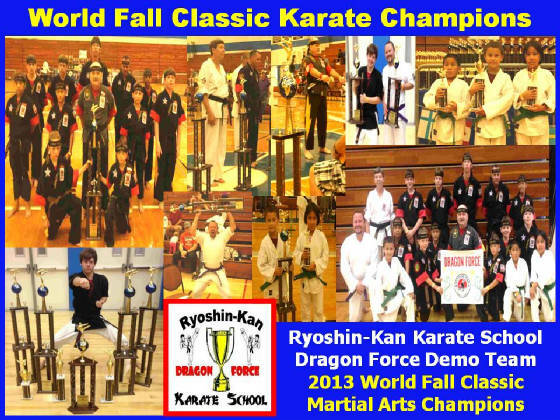 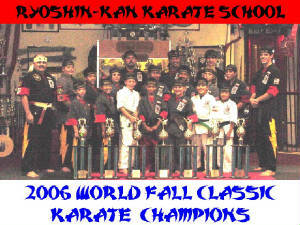 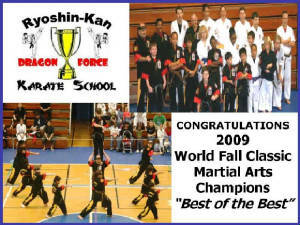 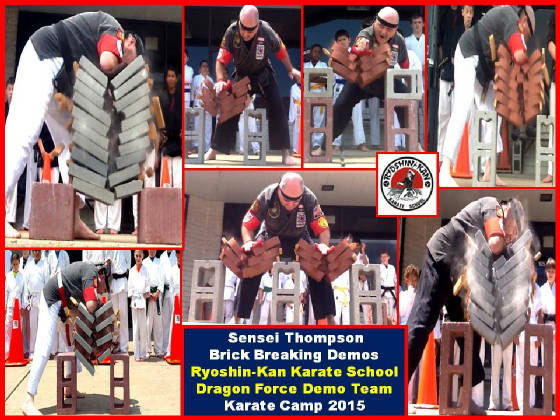 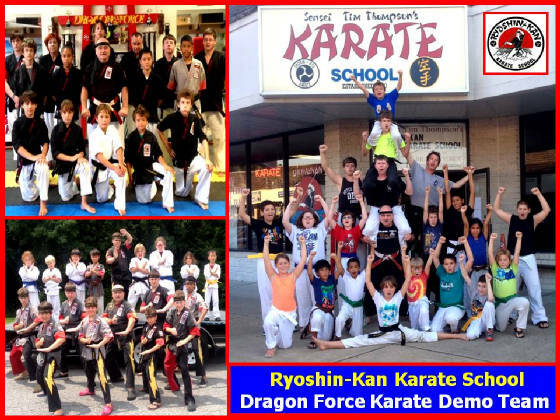 Ryoshin-Kan Karate School" Home of the Dragon Force Demo Team"